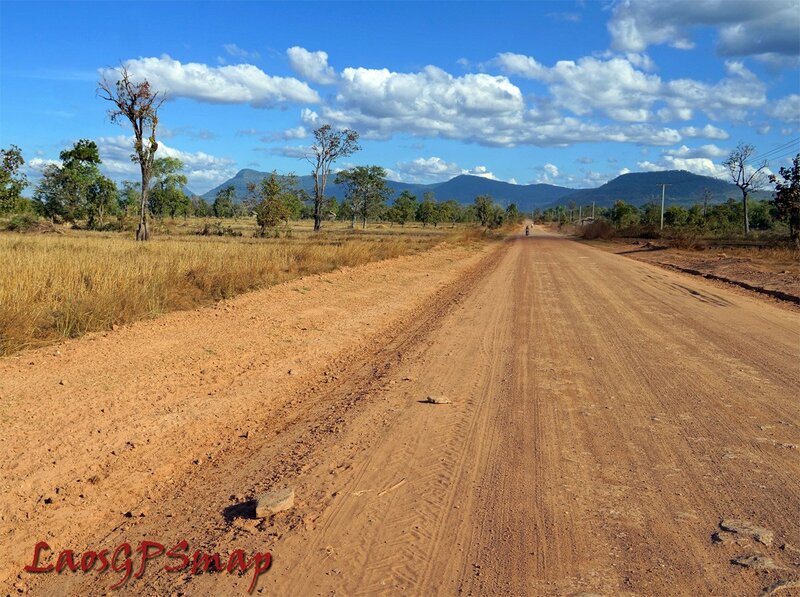 Go off the main road and it’s a different story. 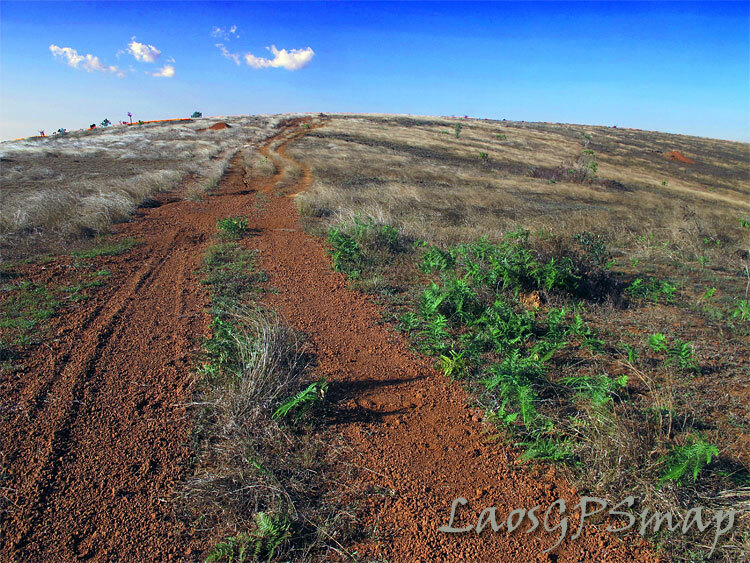 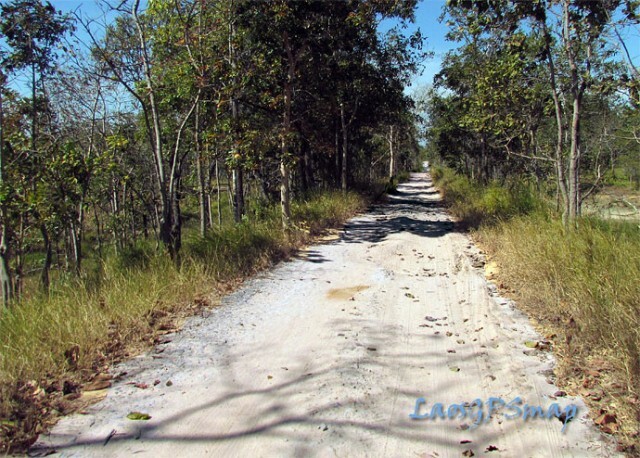 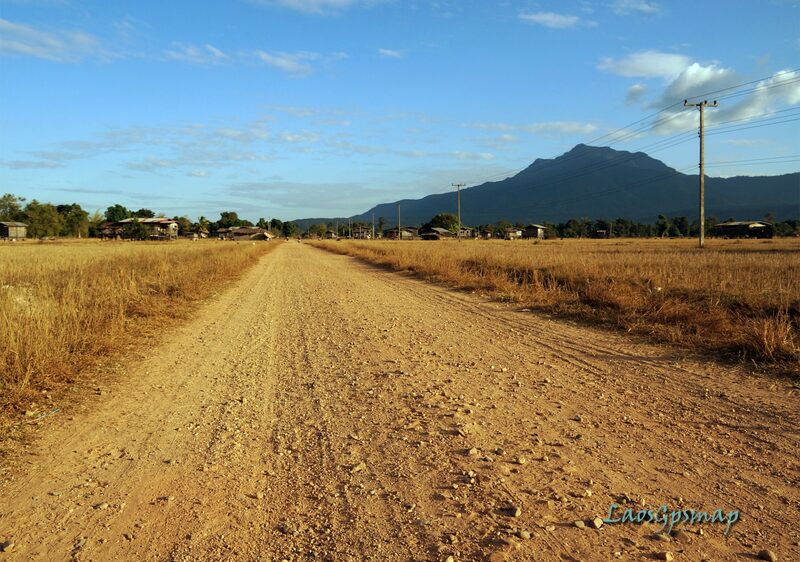 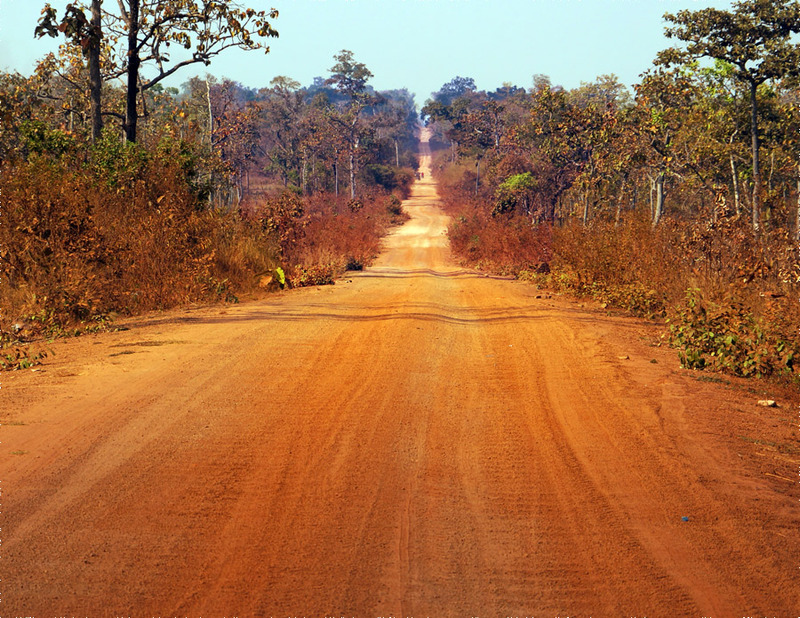 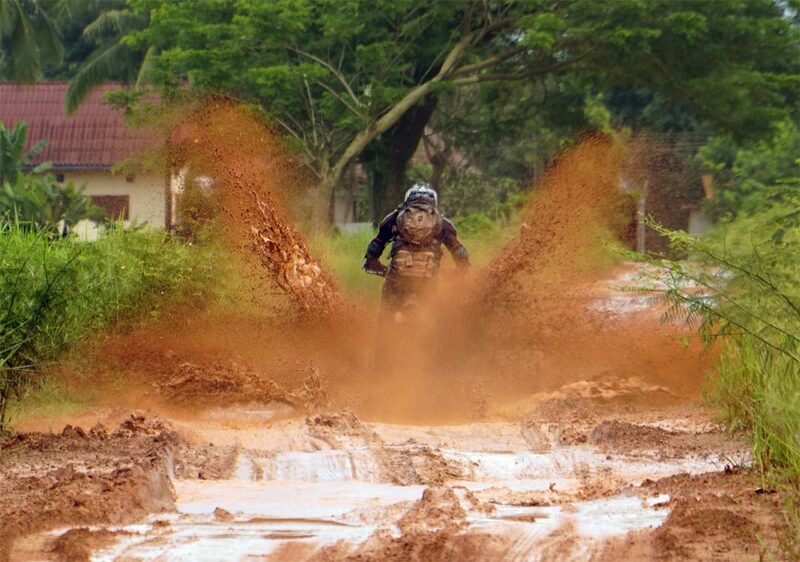 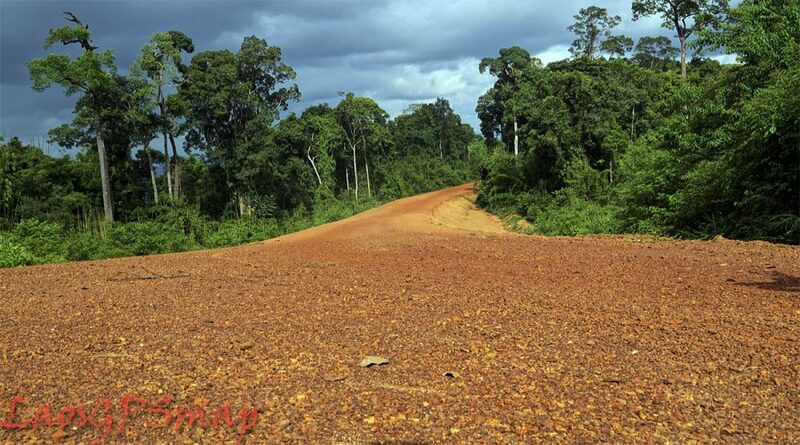 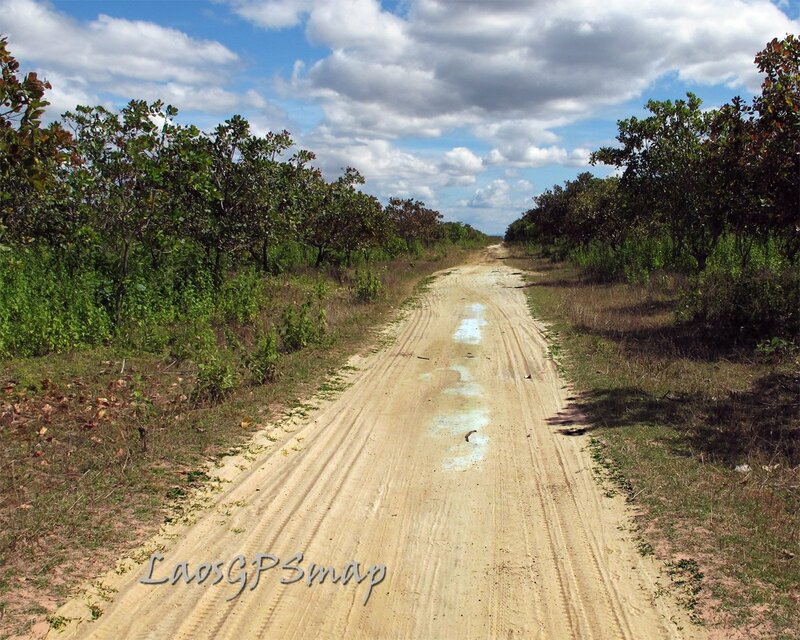 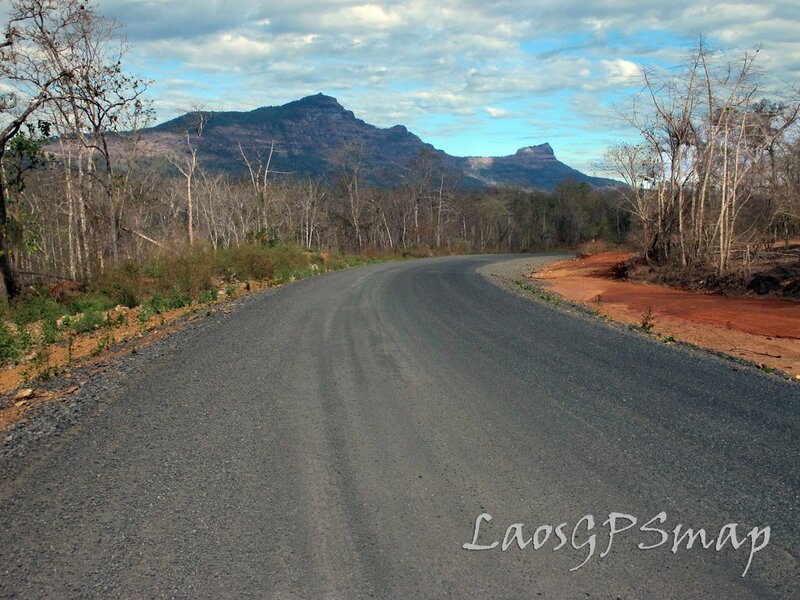 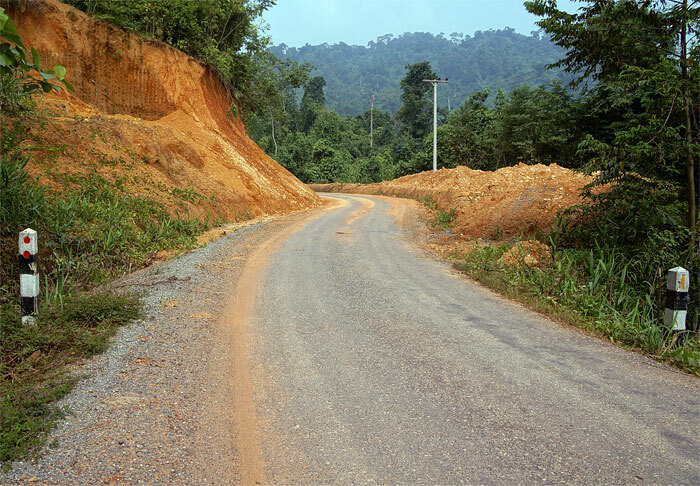 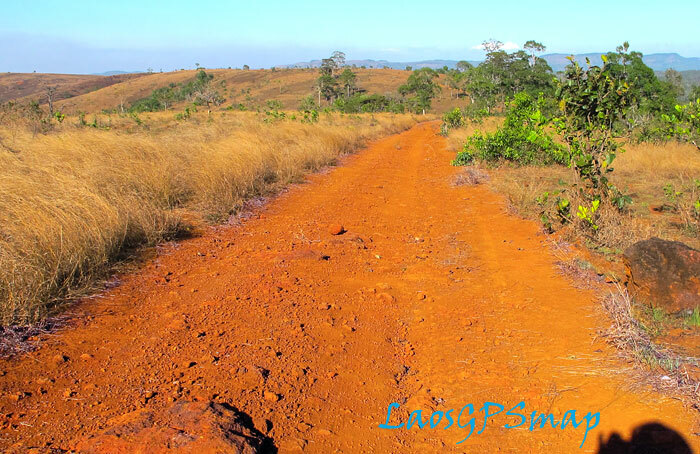 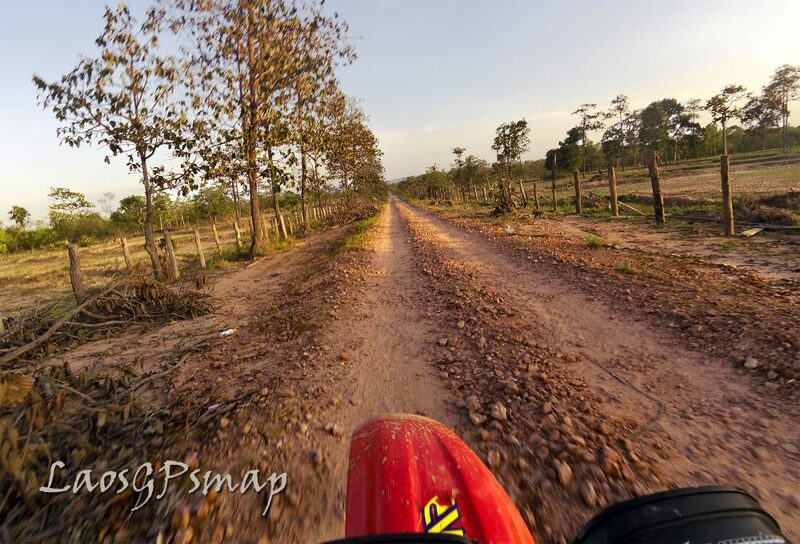 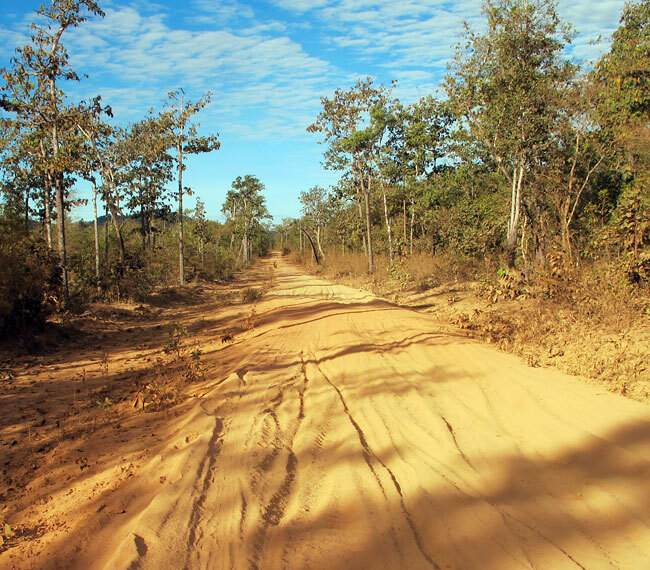 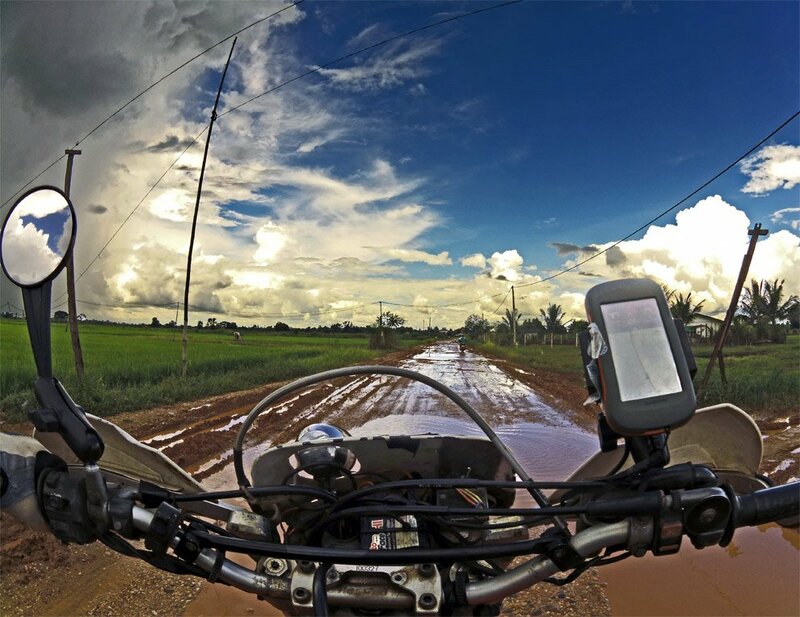 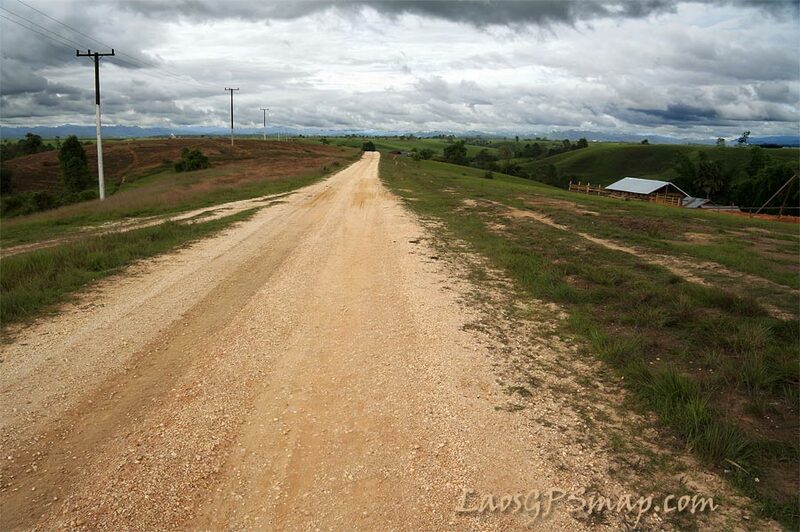 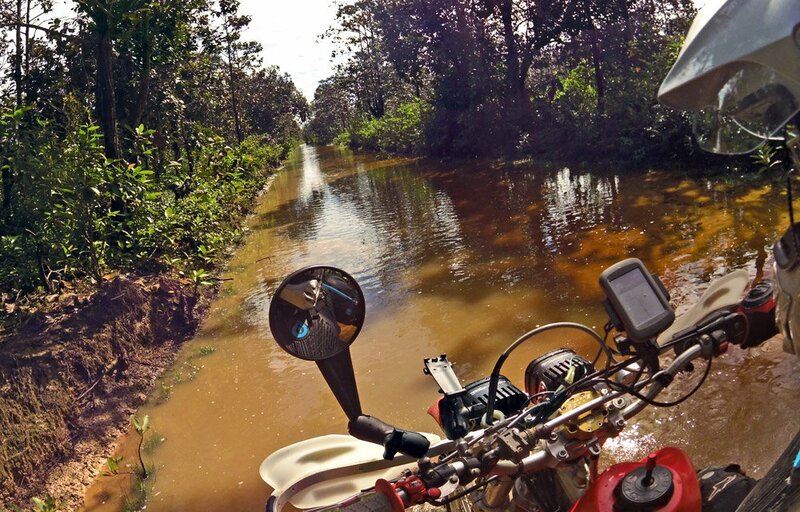 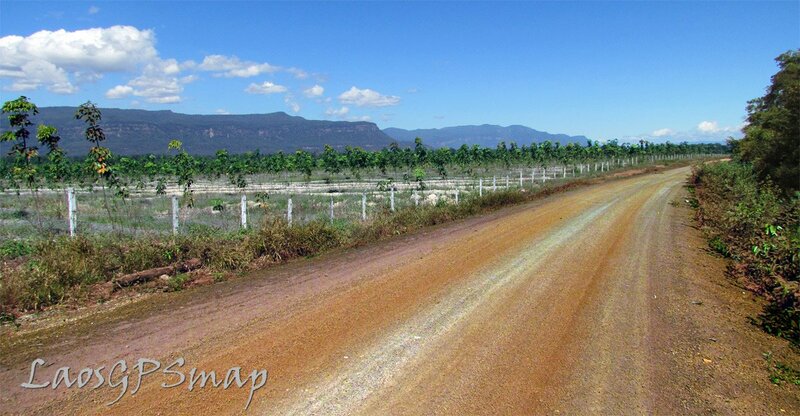 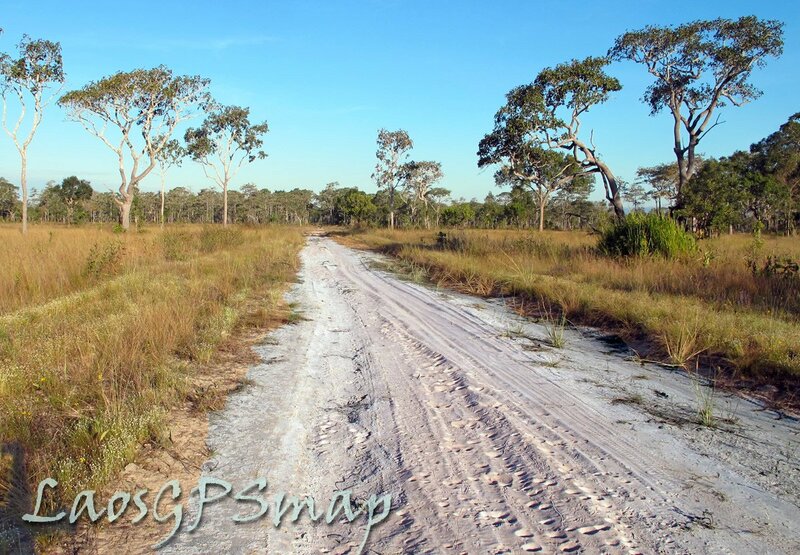 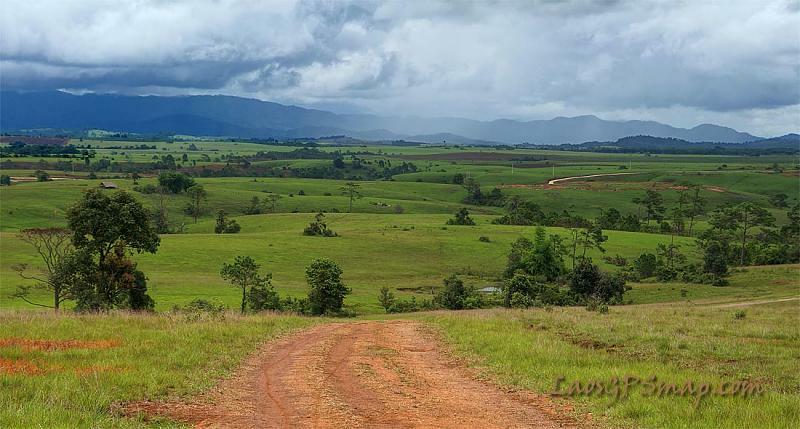 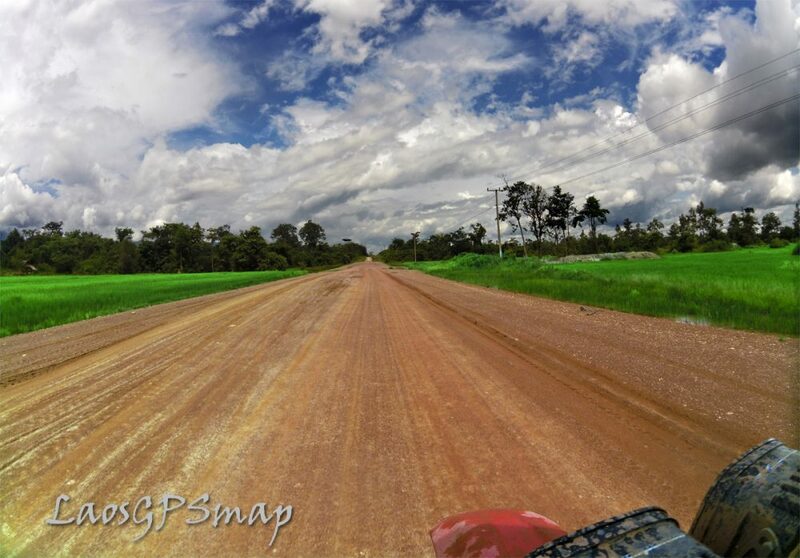 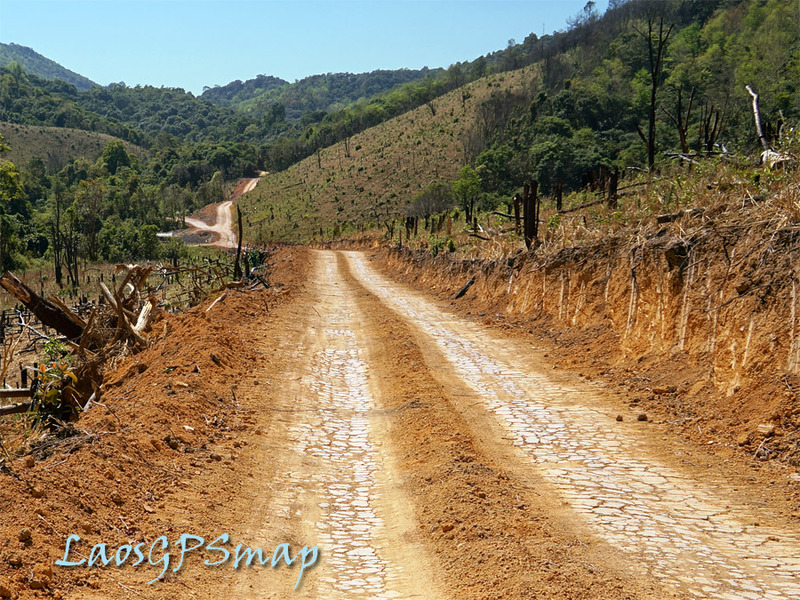 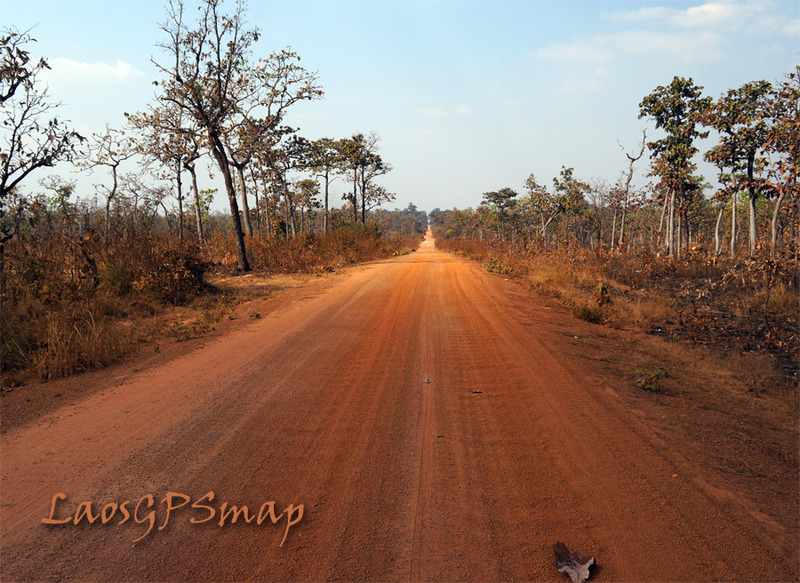 Your back road will almost certainly be dirt and little more than one big mud puddle in wet season. 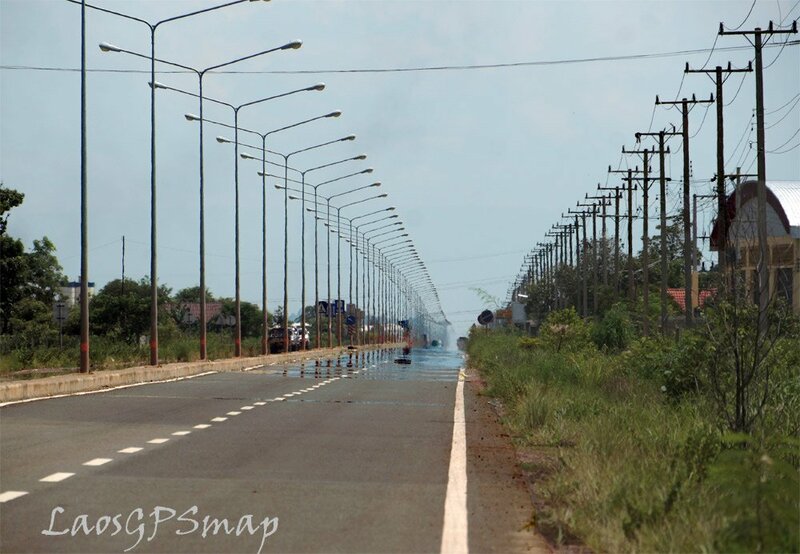 It may not even exist. 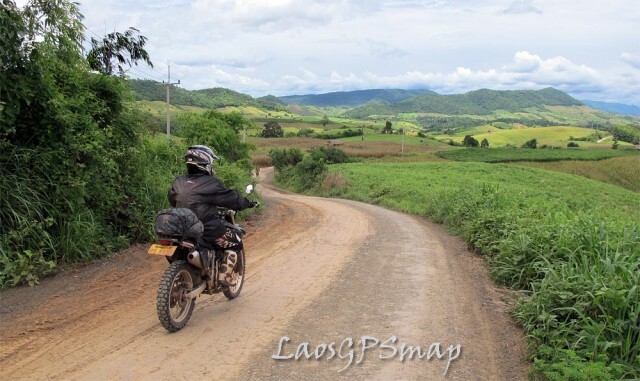 Triple check with locals before heading off onto a road that looks promising on your map. 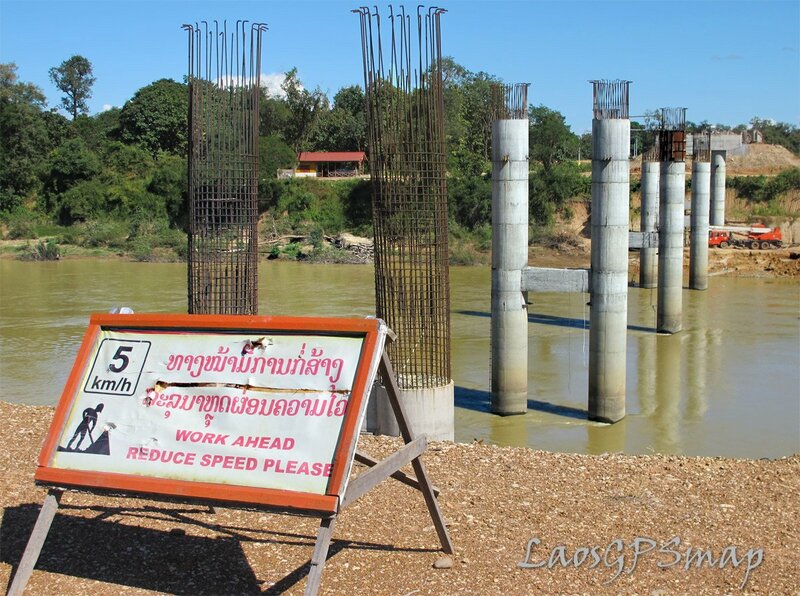 Just because it’s marked as a big red line doesn’t mean it’s at all suitable to cover on a bicycle or that construction has even been finished. 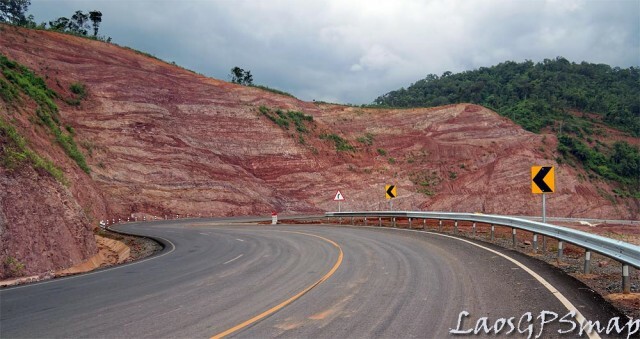 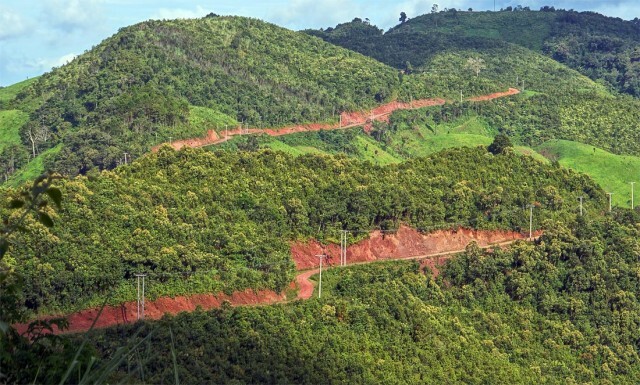 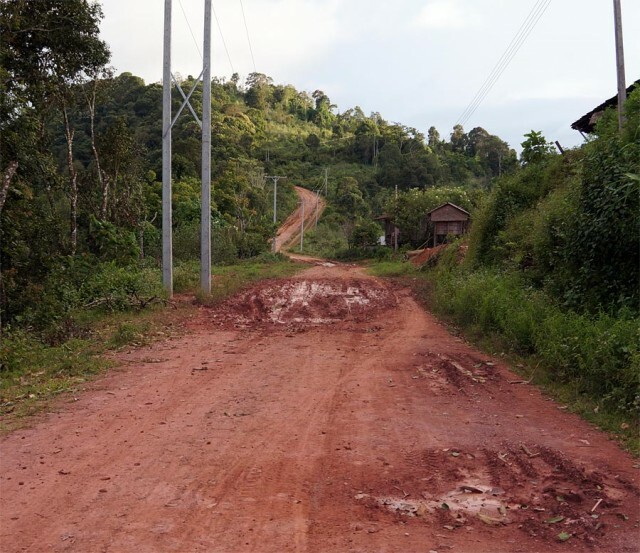 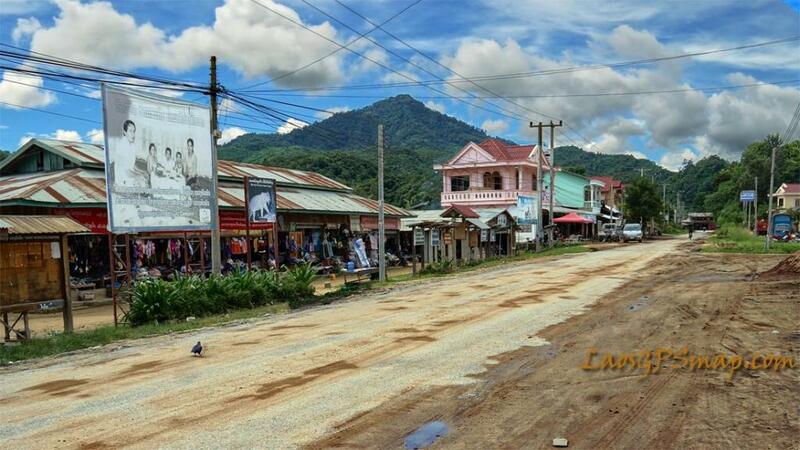 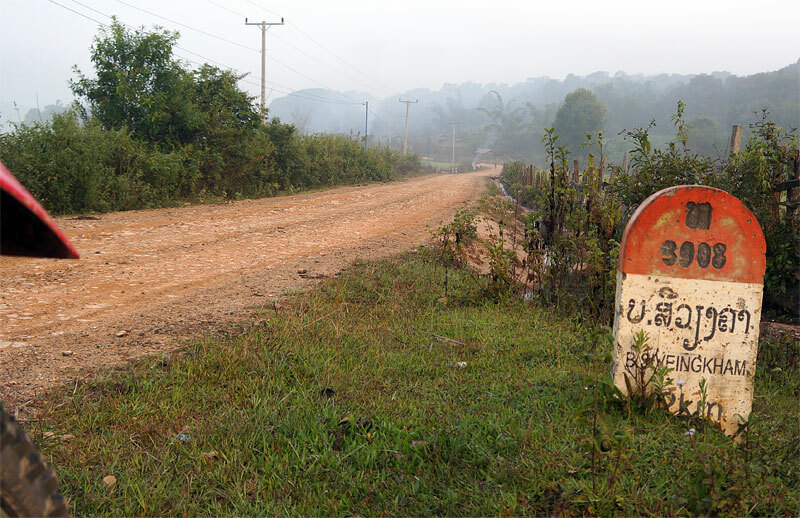 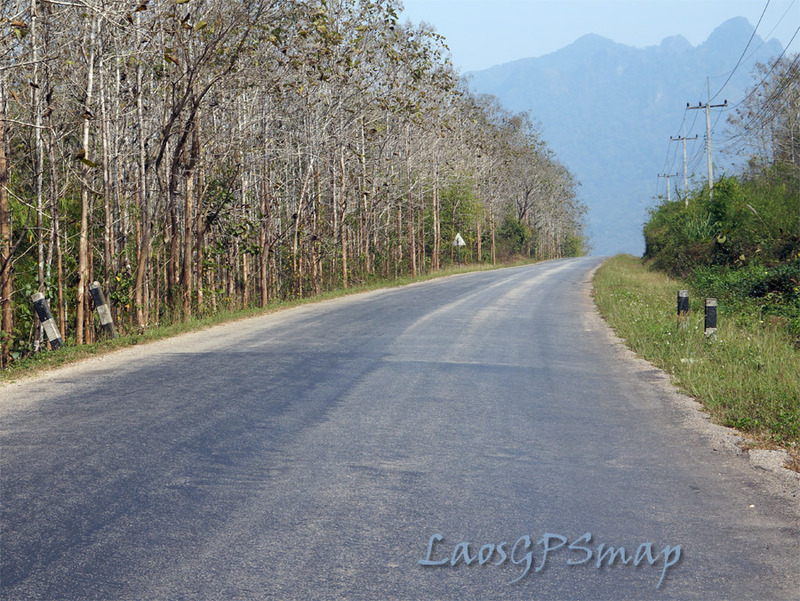 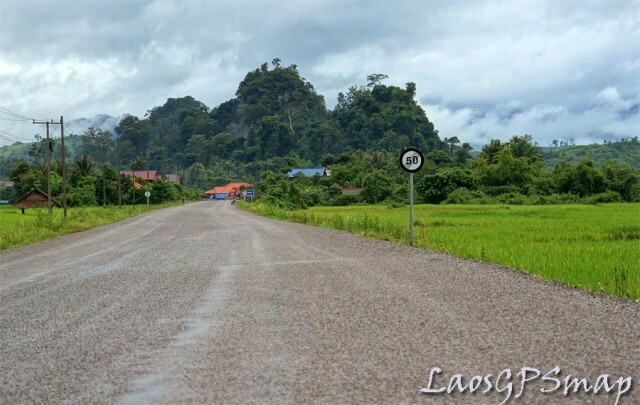 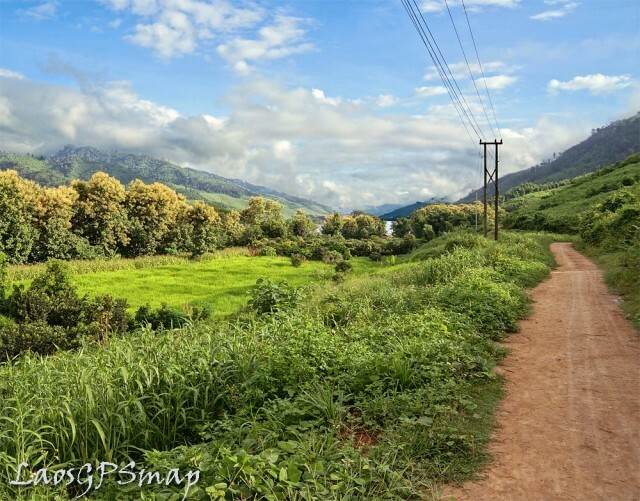 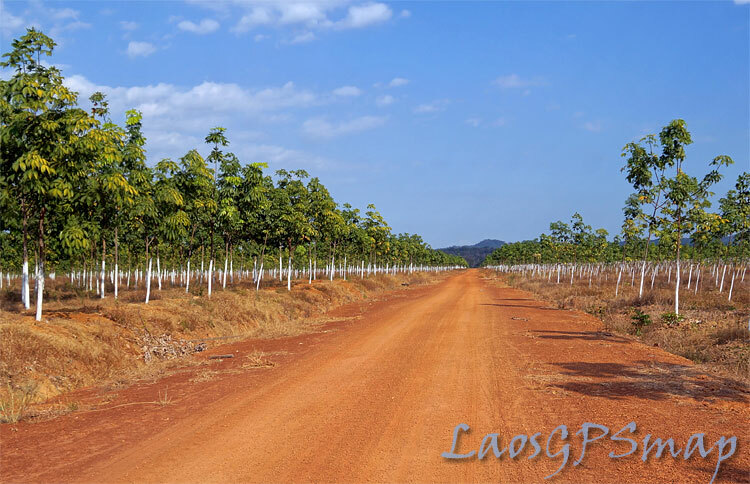 As an example of how misleading maps can be, we were planning to cover Route 23 in southern Laos until we met someone who had just come from that road. 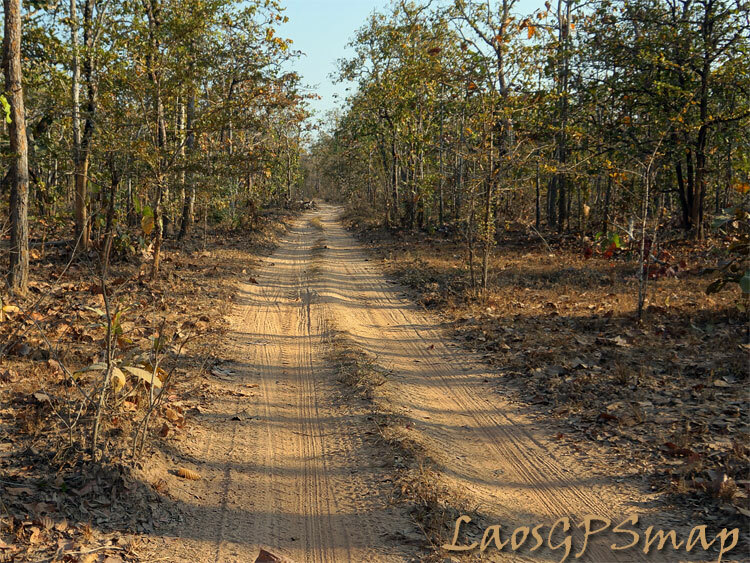 She had to walk for two days because there was nothing more than a forest path and this was an allegedly major road on our map. 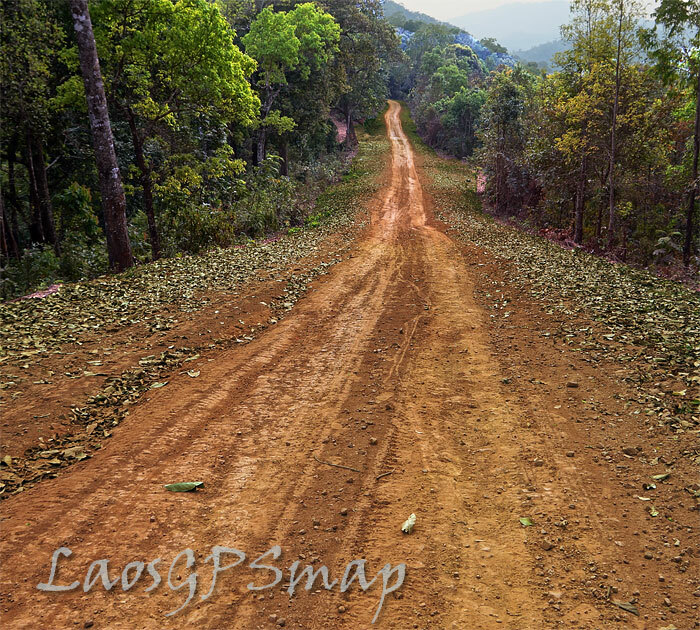 We later saw pictures of the road and it was just a rocky, sandy track. 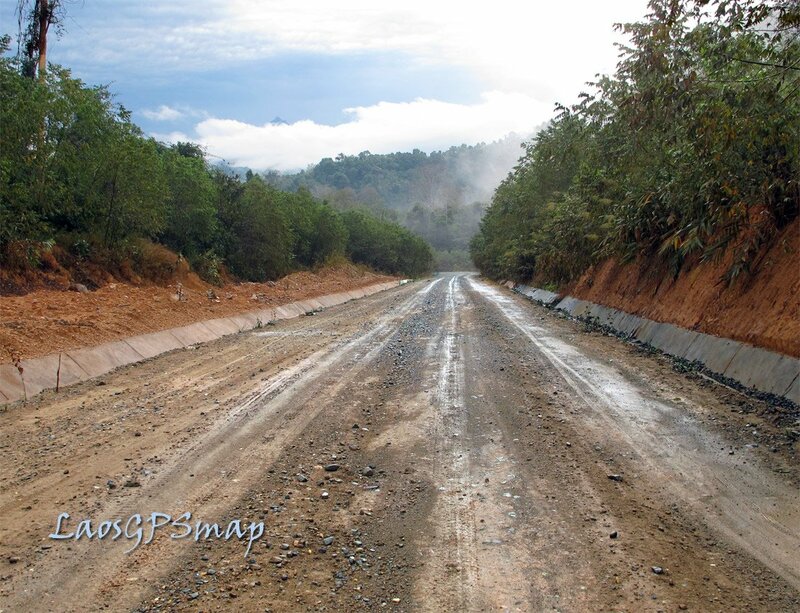 Wet Road just clearing after a rain. 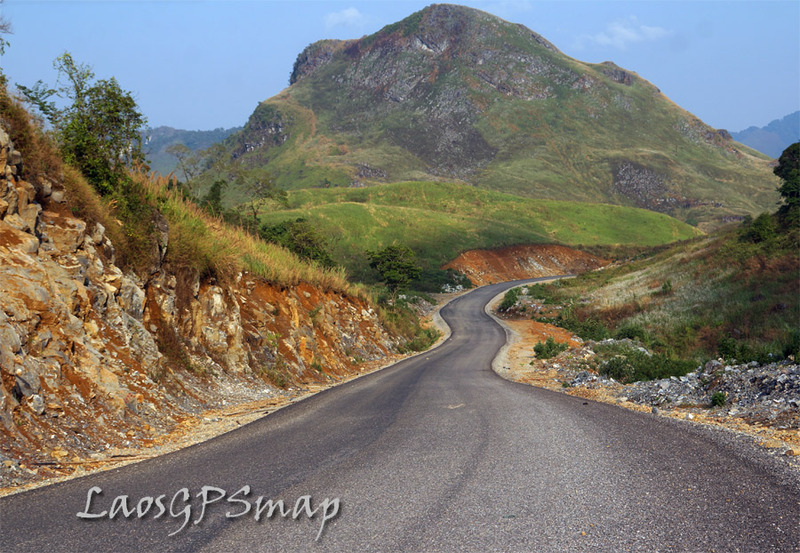 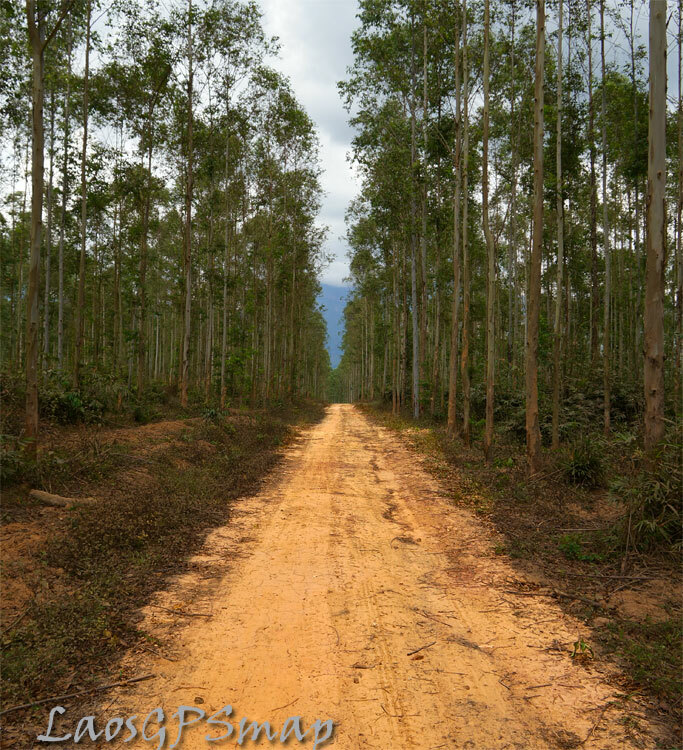 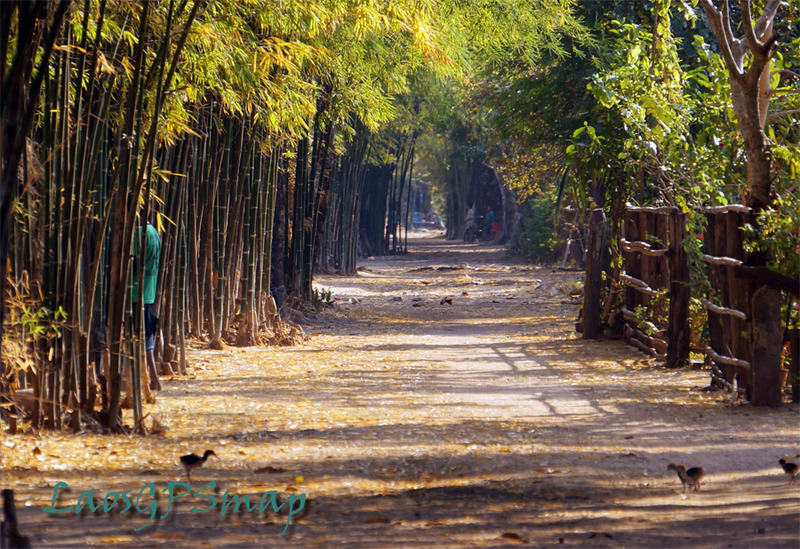 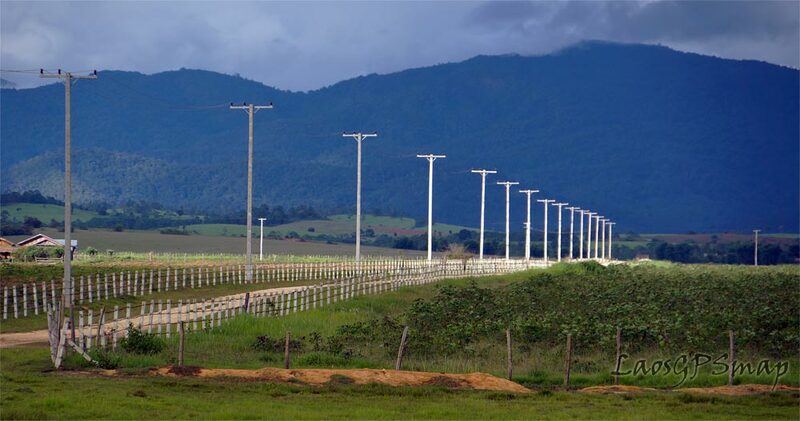 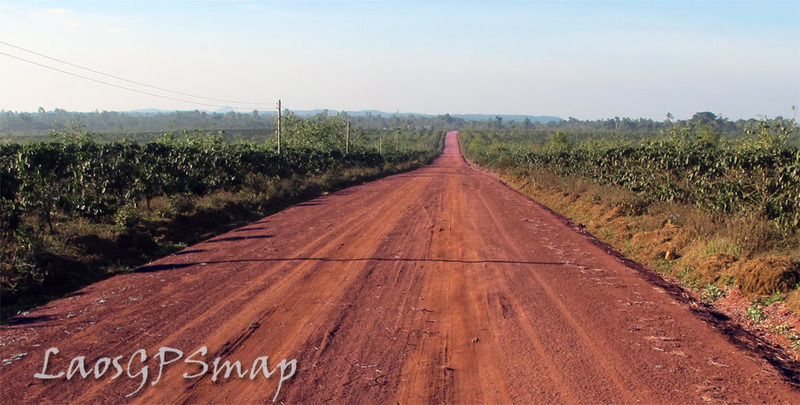 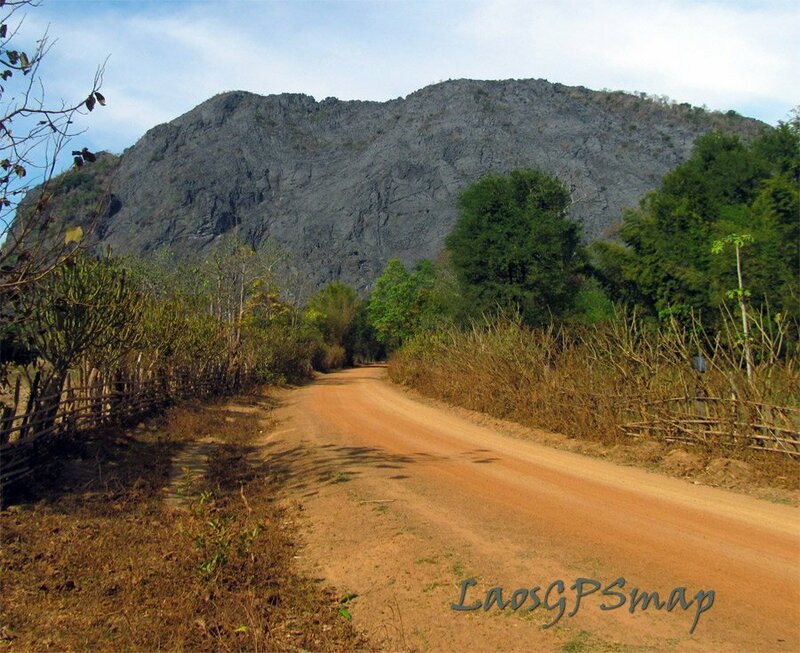 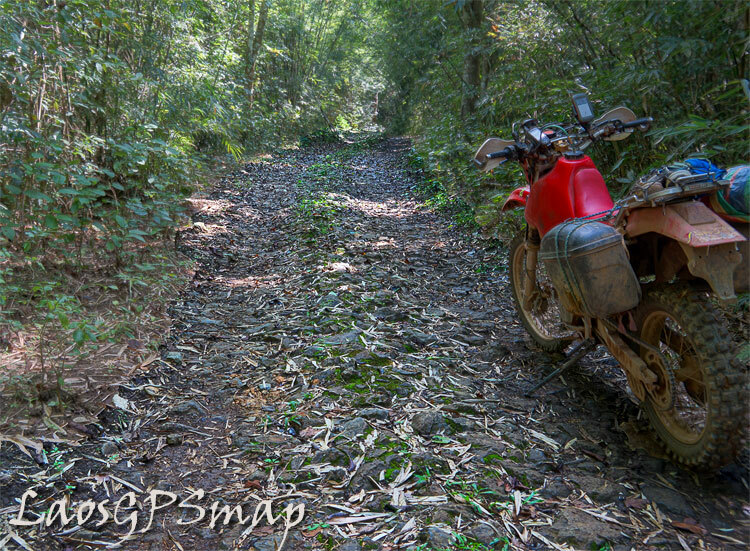 this road was used as a supply route during the early part of the Vietnam war. 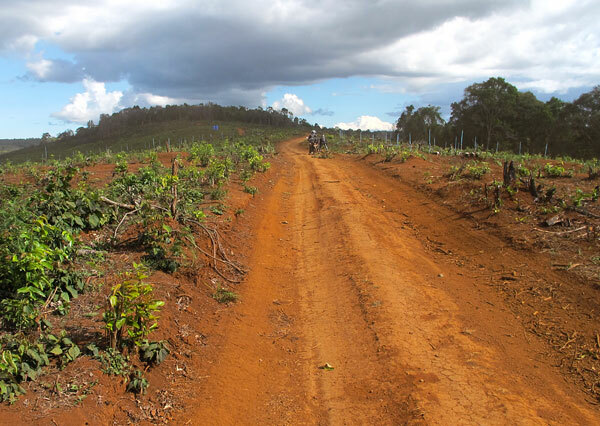 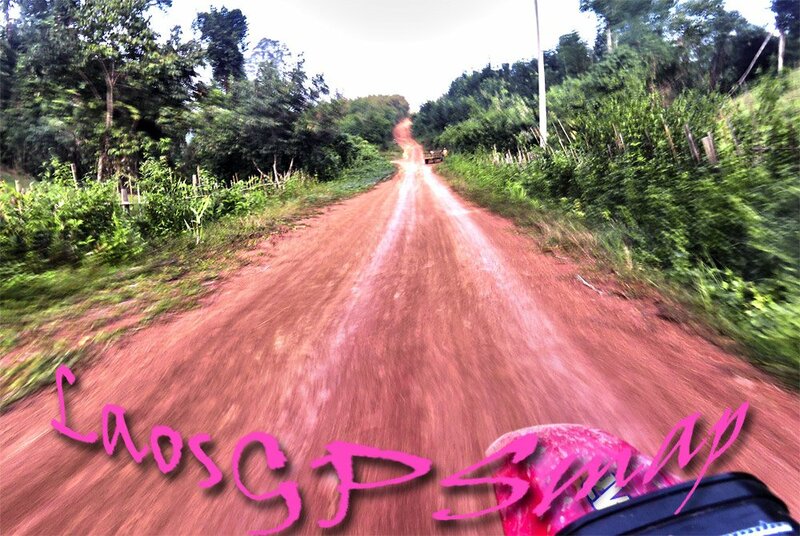 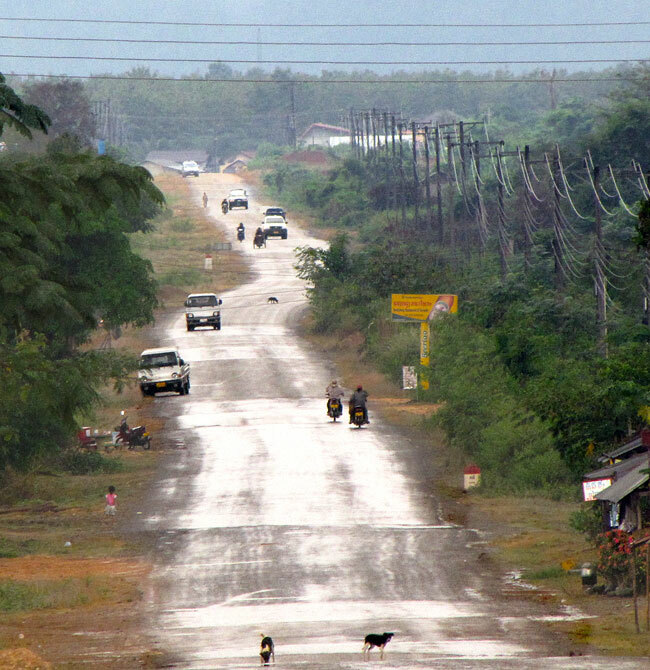 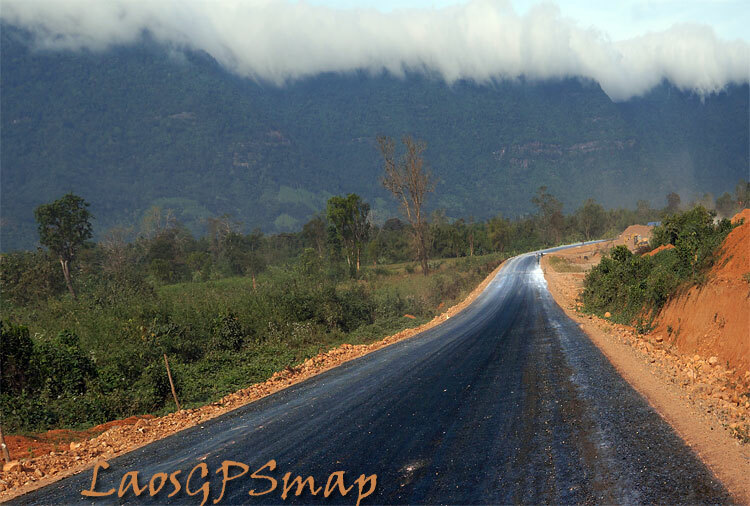 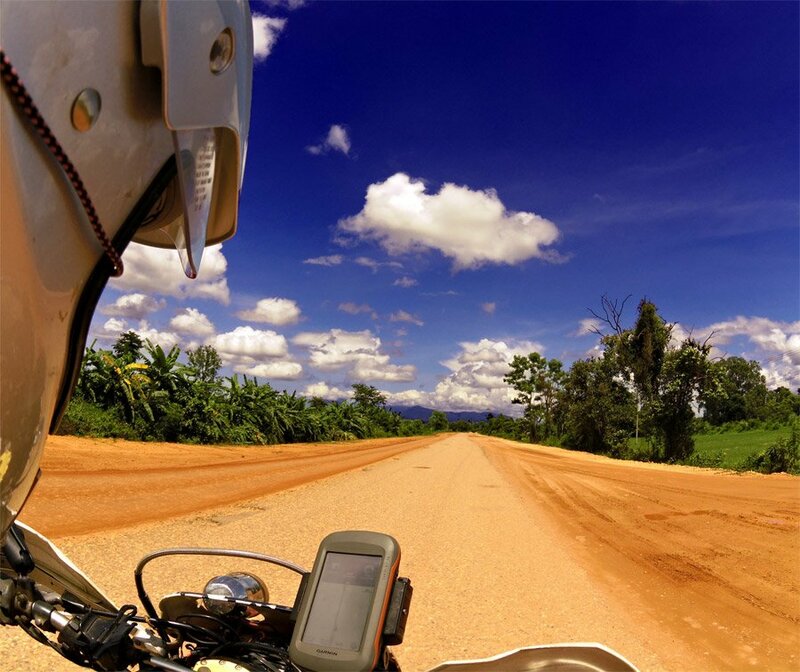 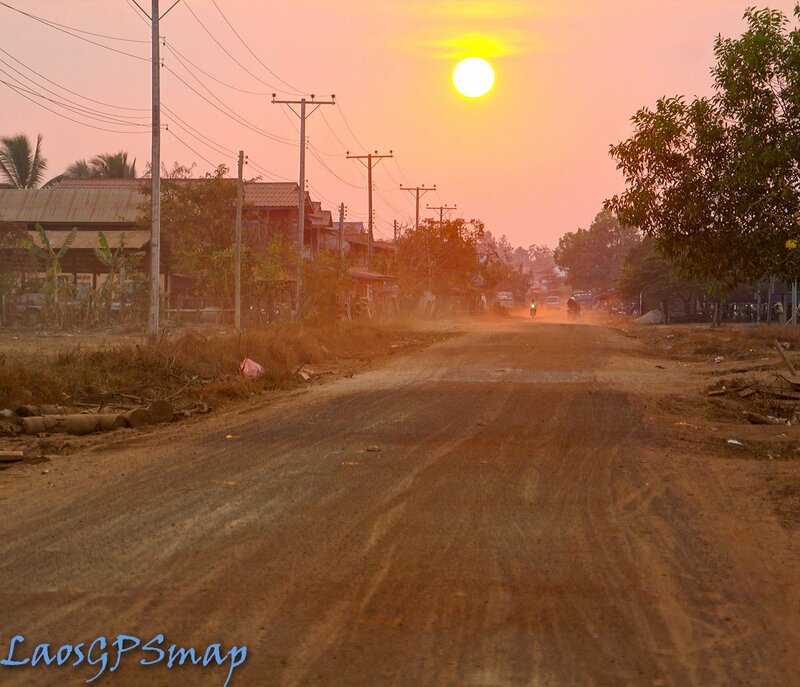 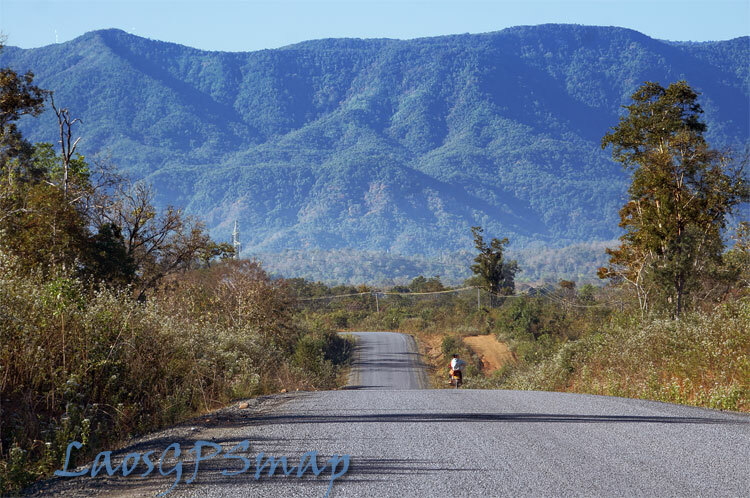 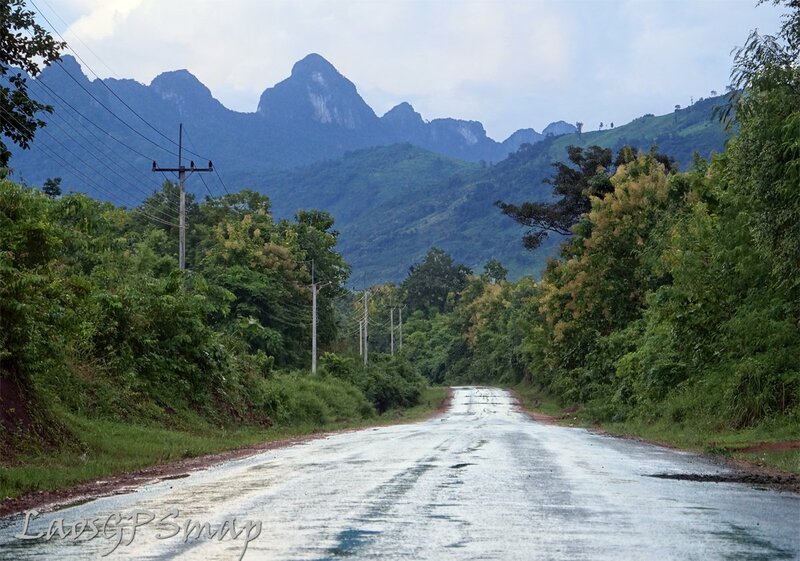 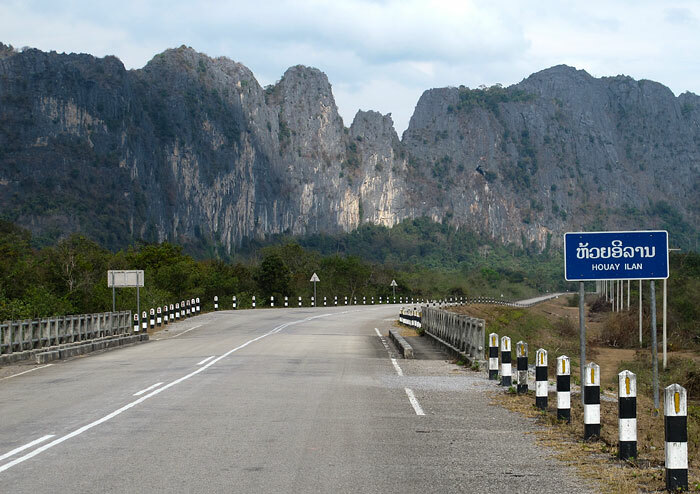 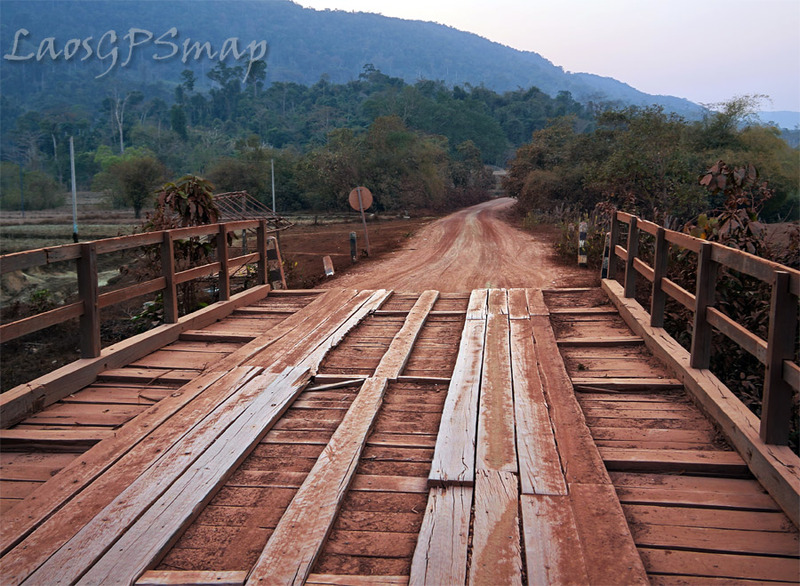 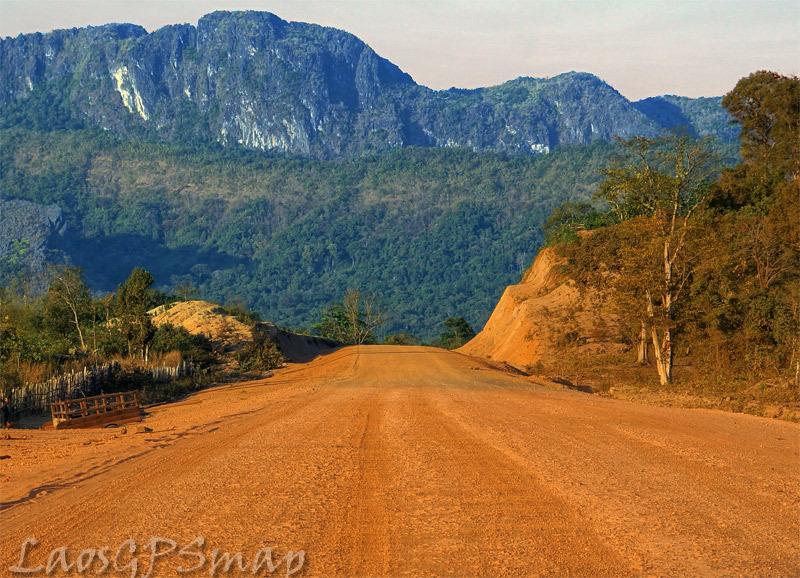 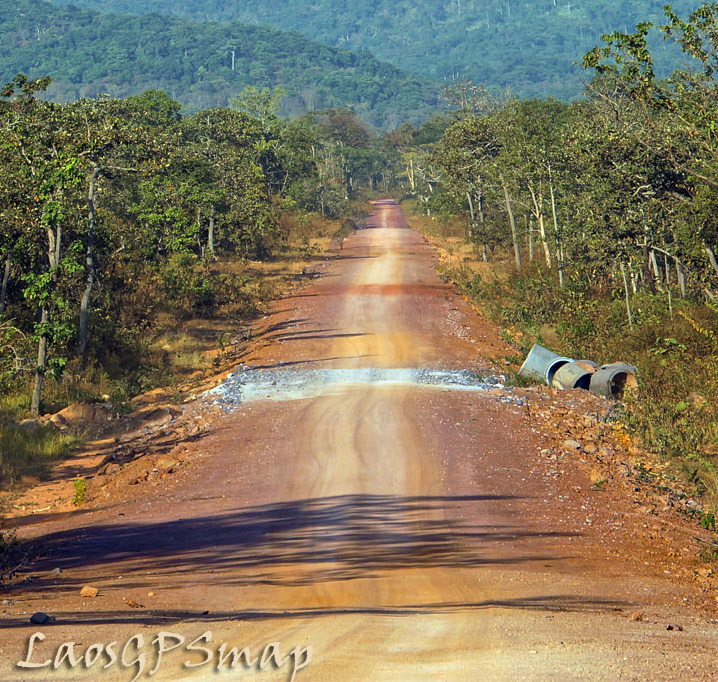 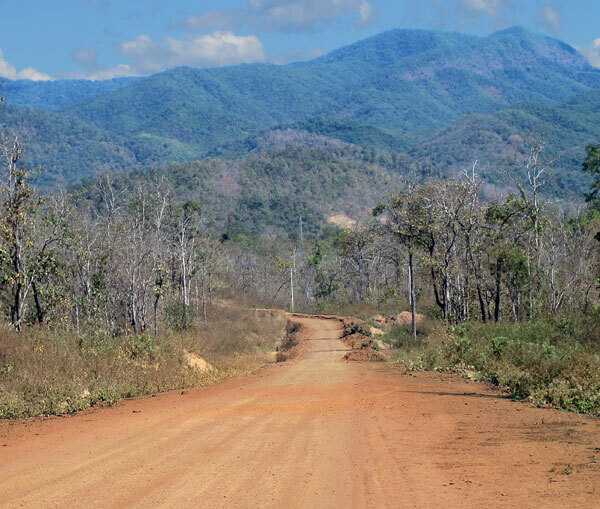 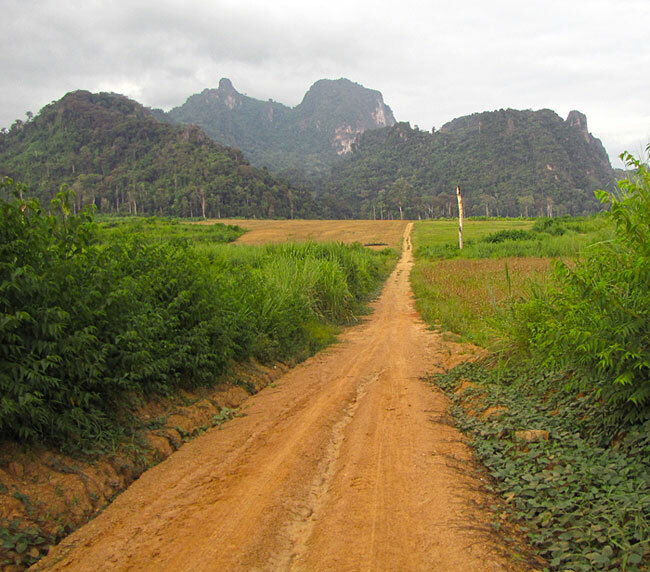 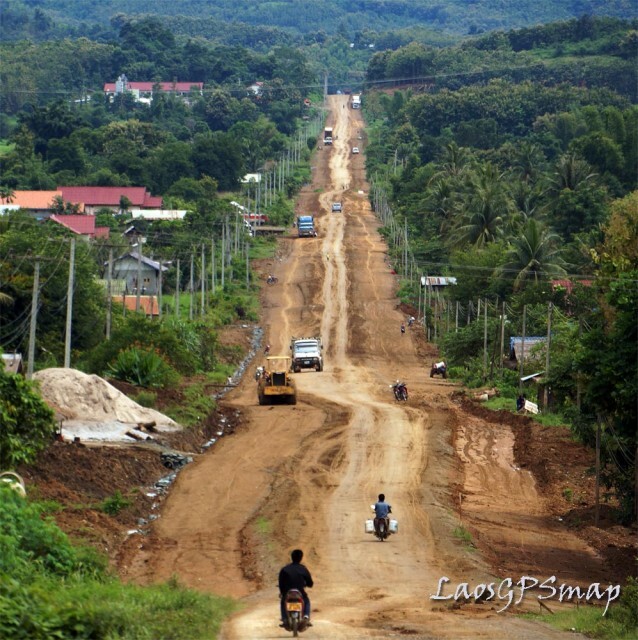 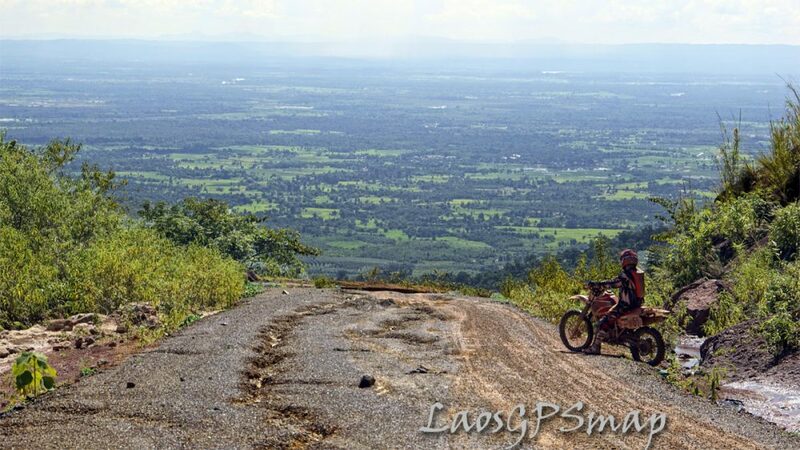 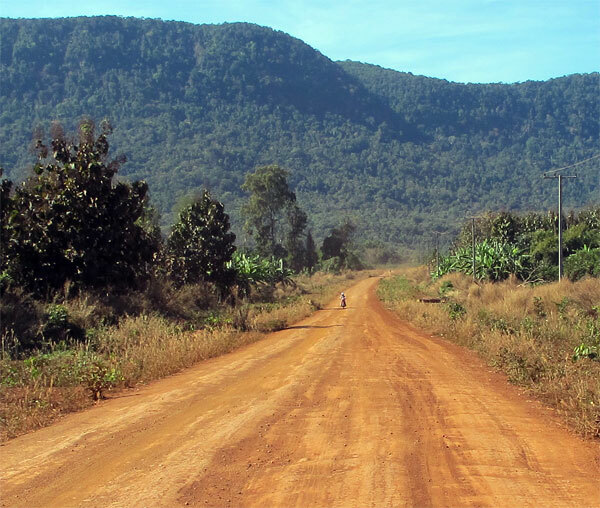 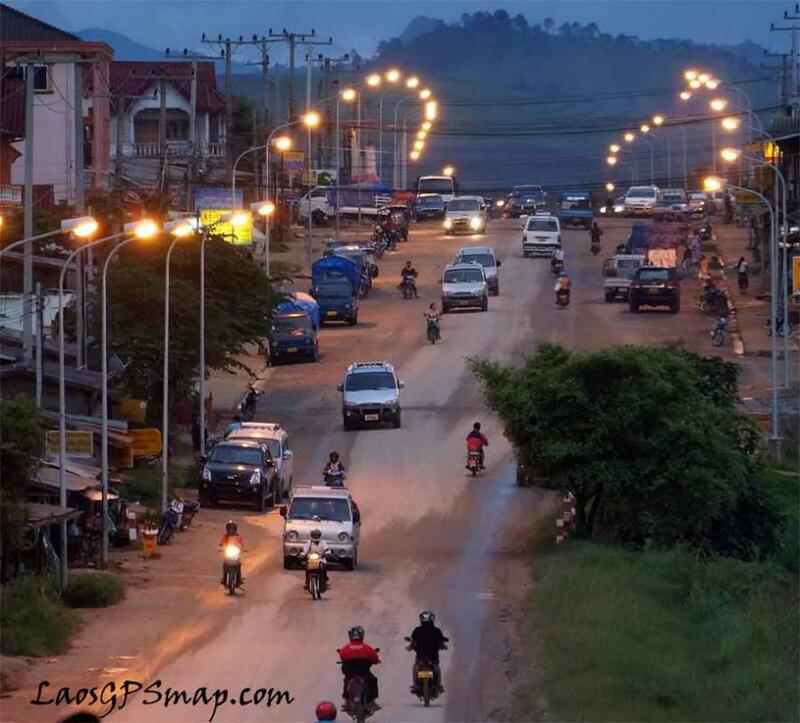 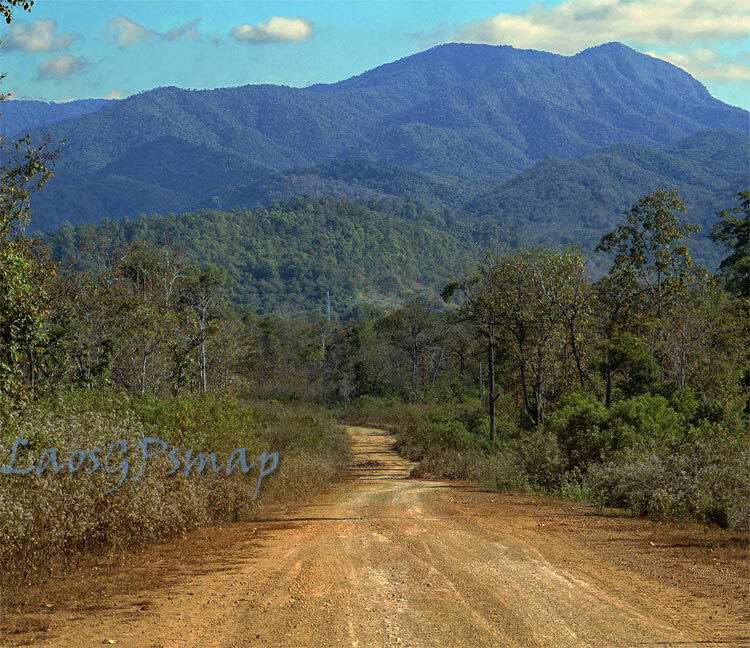 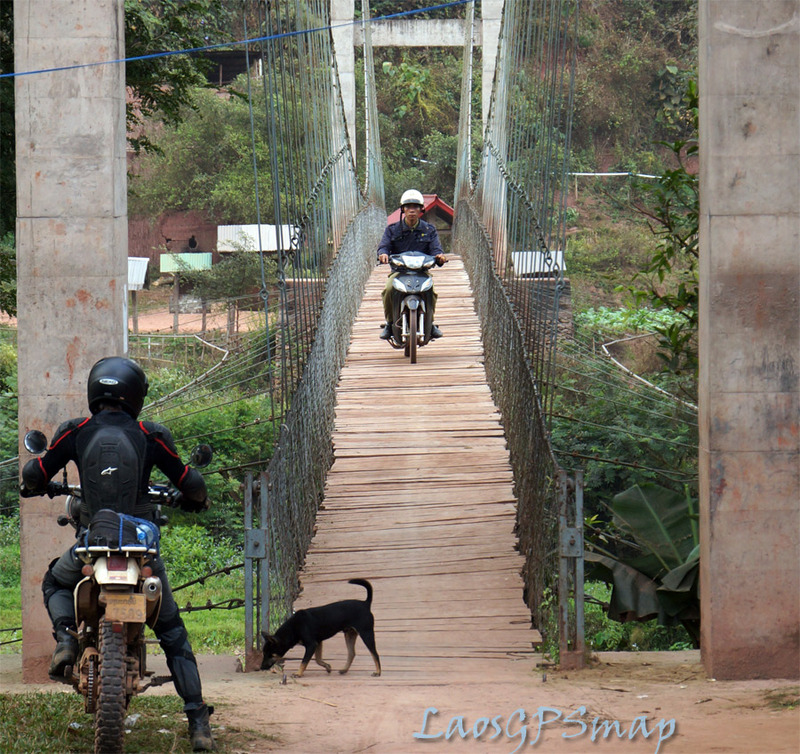 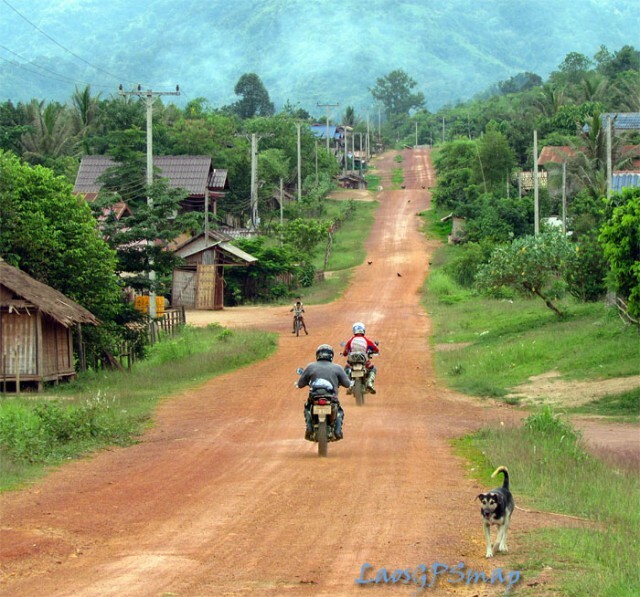 Ban Phamuang heading west towards Paraveck, one of the great offroad motorcycle roads in Laos. 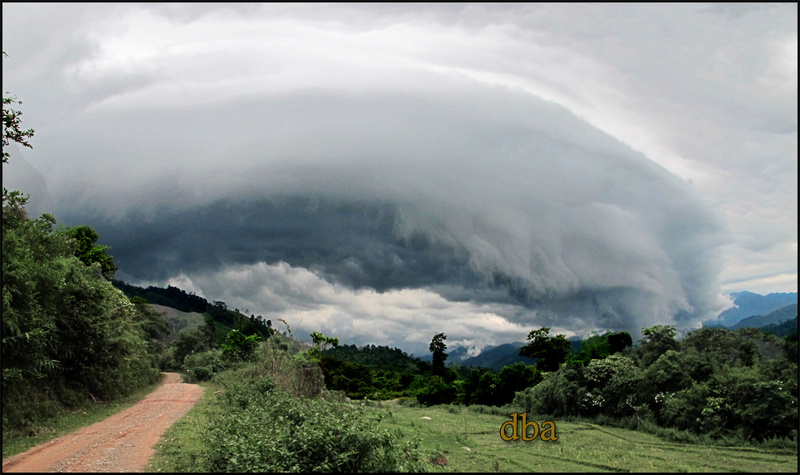 The roll cloud in the distance seems to park there, during the Northeast Monsoon, The cloud is caused by “orthographic lifting” as the warm moist air from the Pacific Ocean rises to 1200 meters and pours over the escarpment. 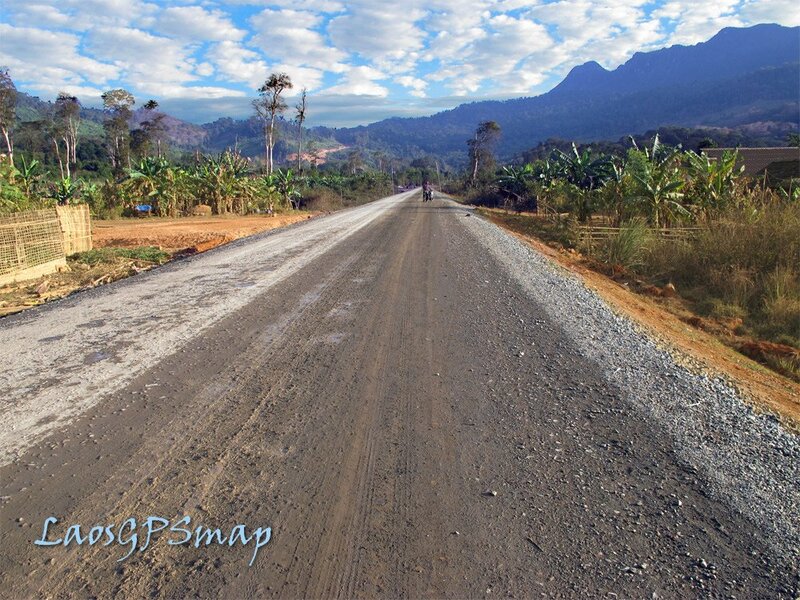 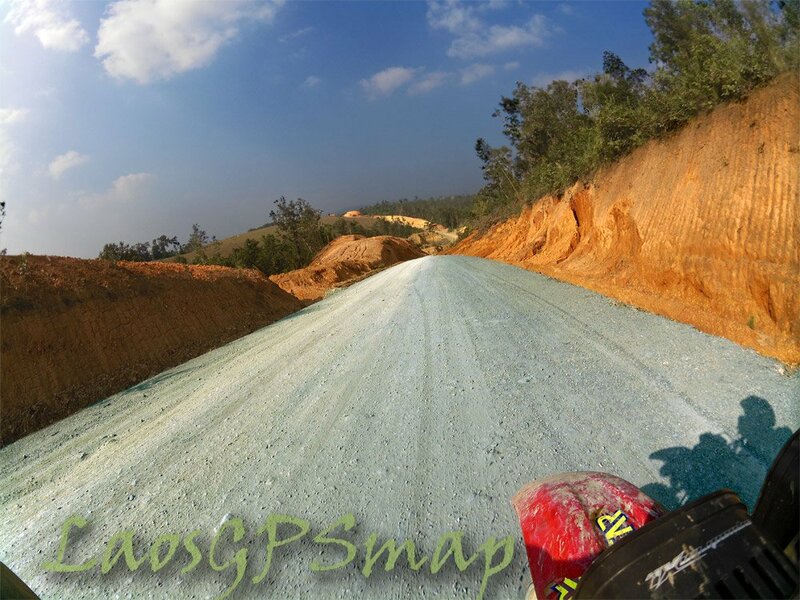 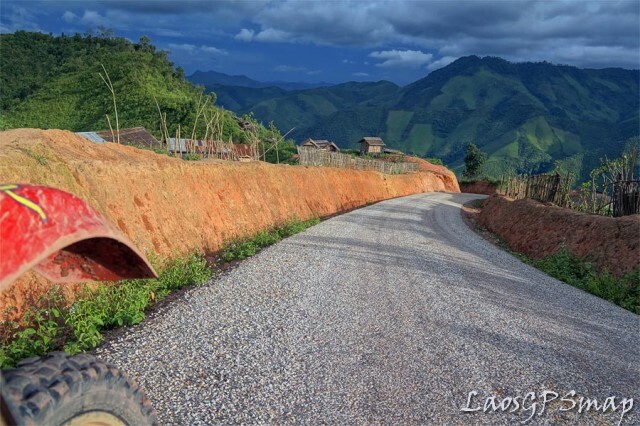 Provincial road 3601 Northern Laos, motorcycle road. 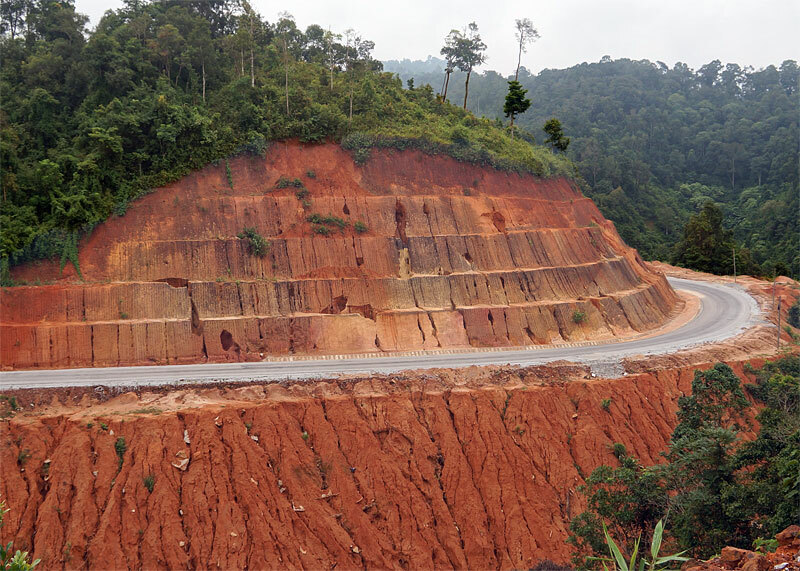 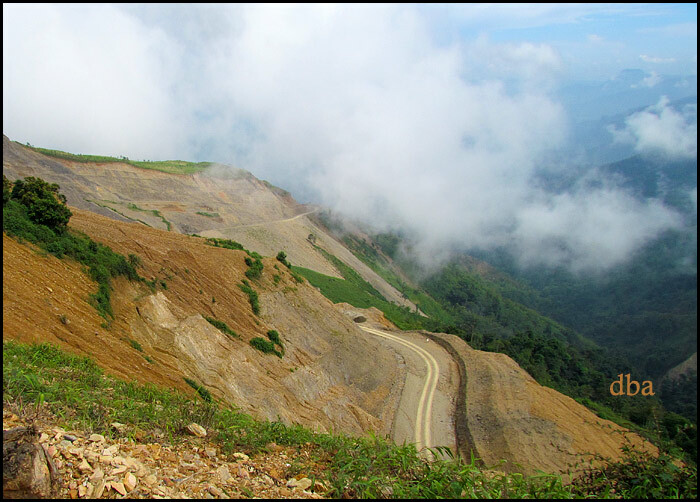 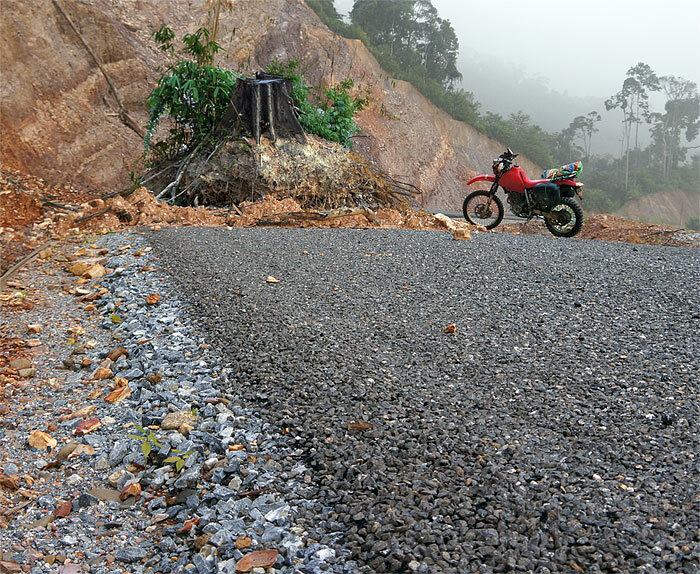 Road 1 D landslide with a tree stump! 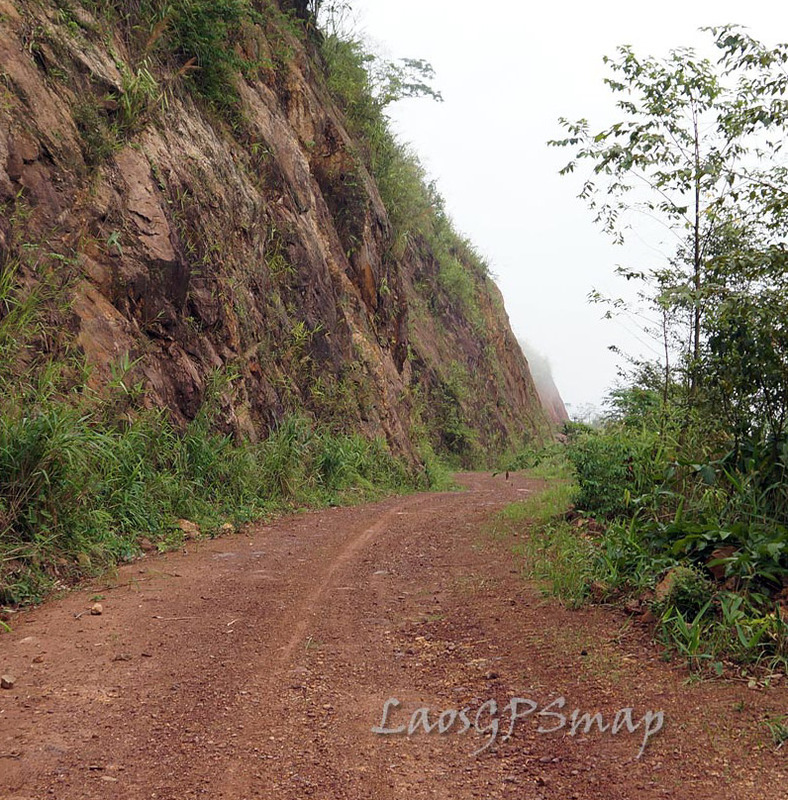 Ho Chi Minh trail with original stones laid down by hand by the slave workers along the trail during the time of the Vietnam War. 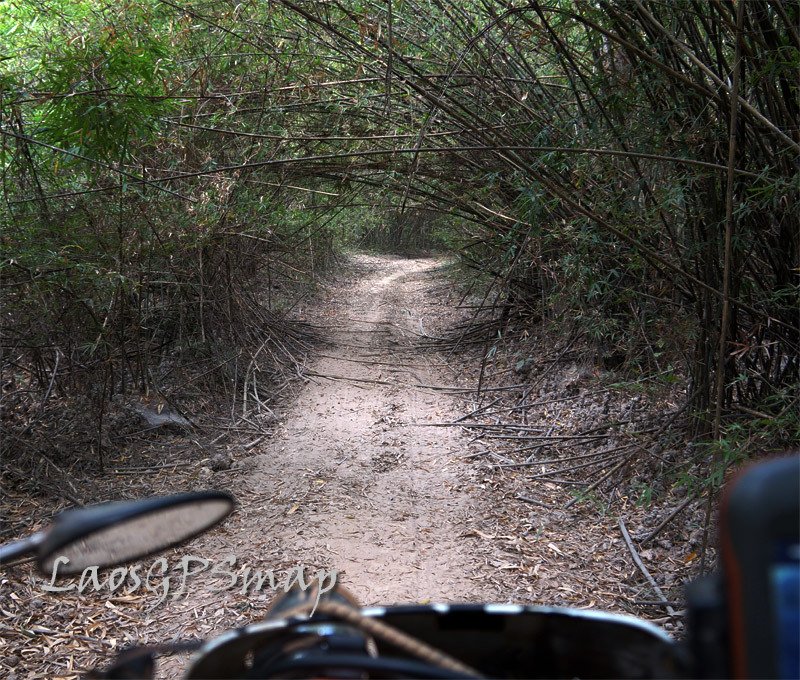 Note the trees overhanging the trail so not to be detectable by US spotter planes. 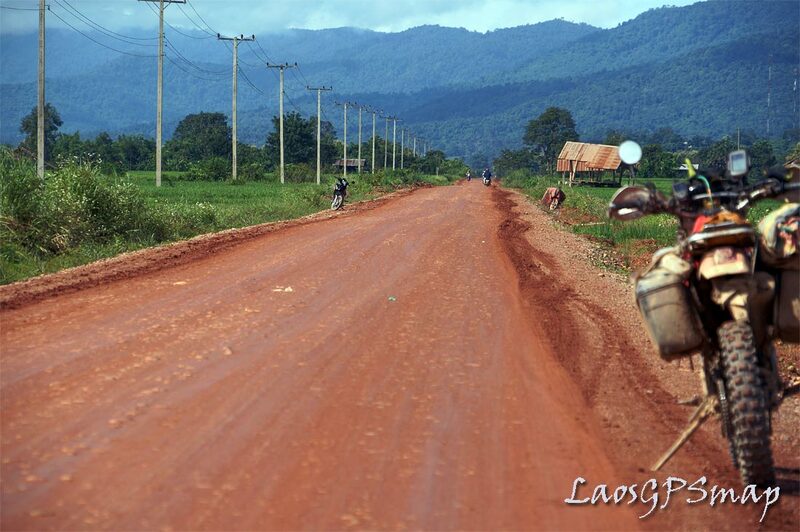 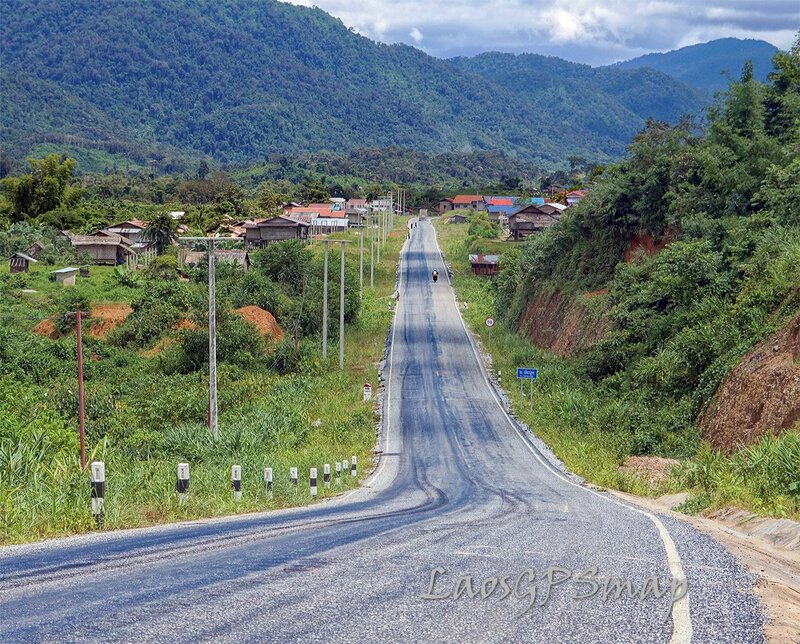 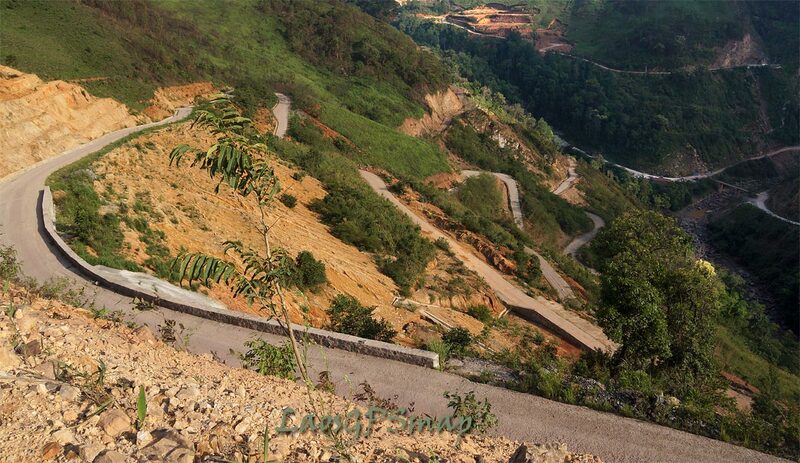 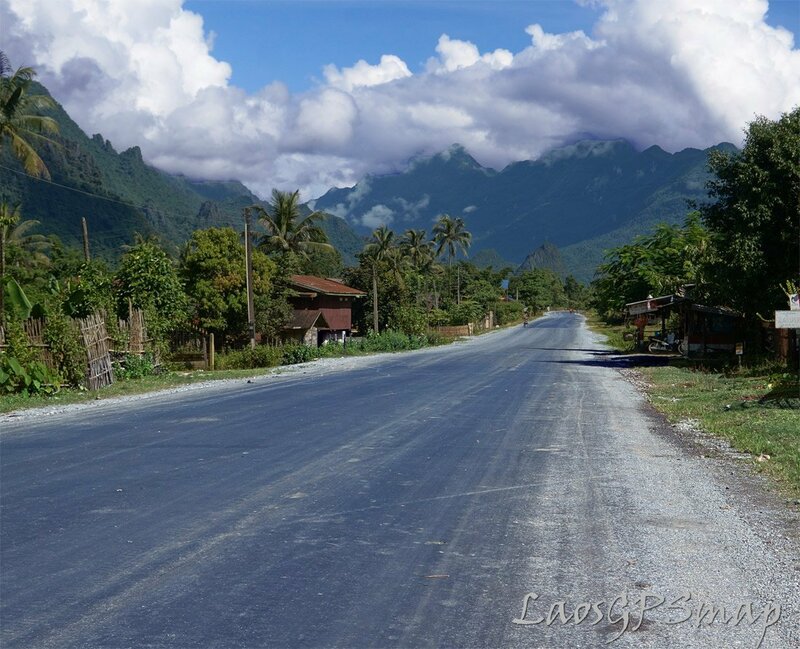 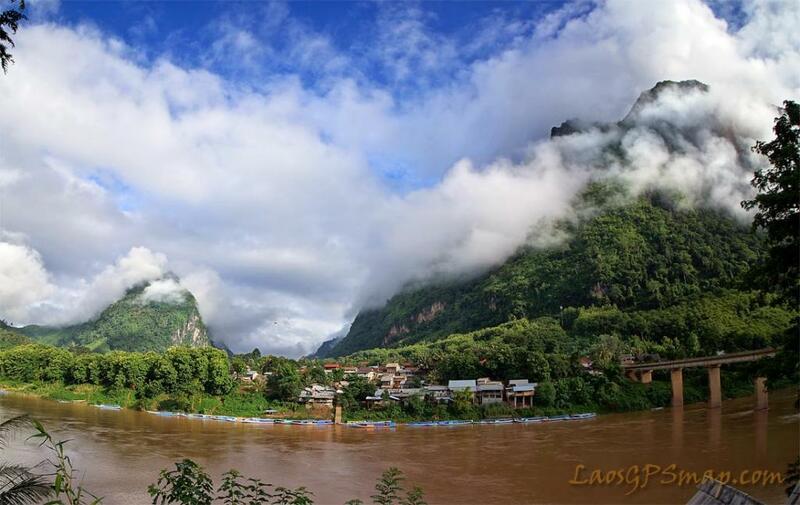 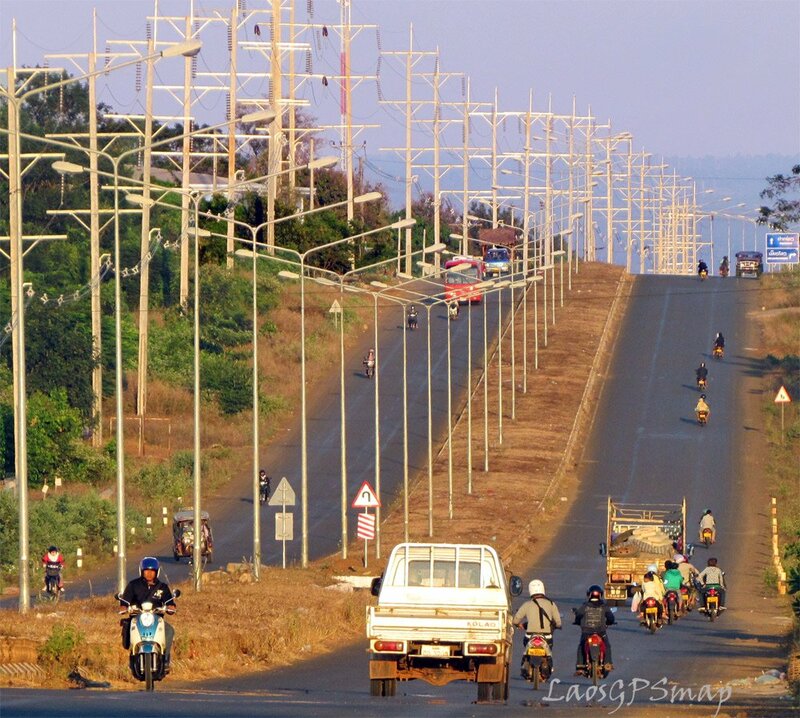 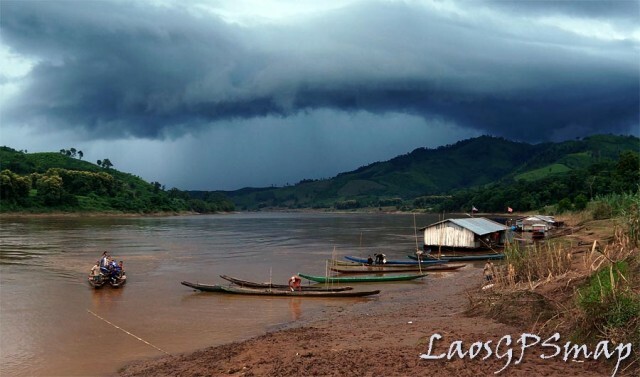 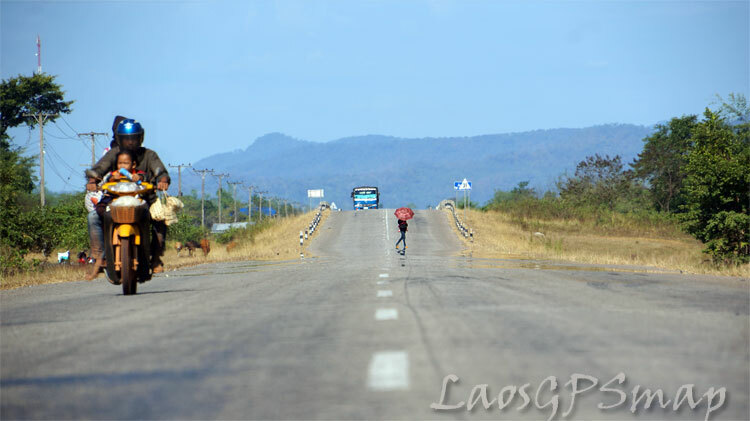 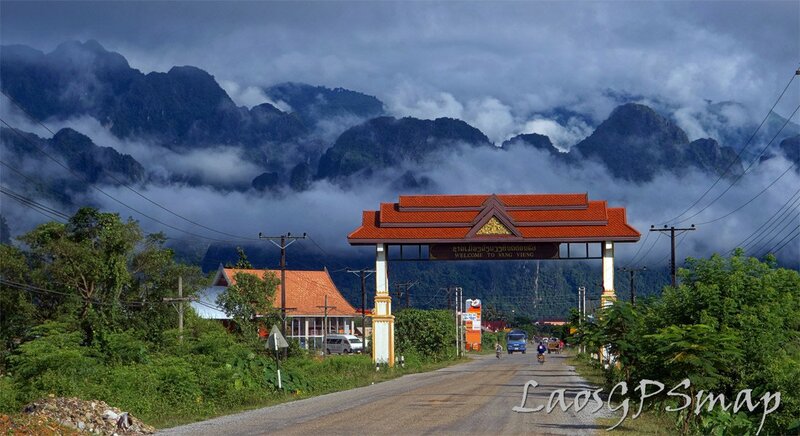 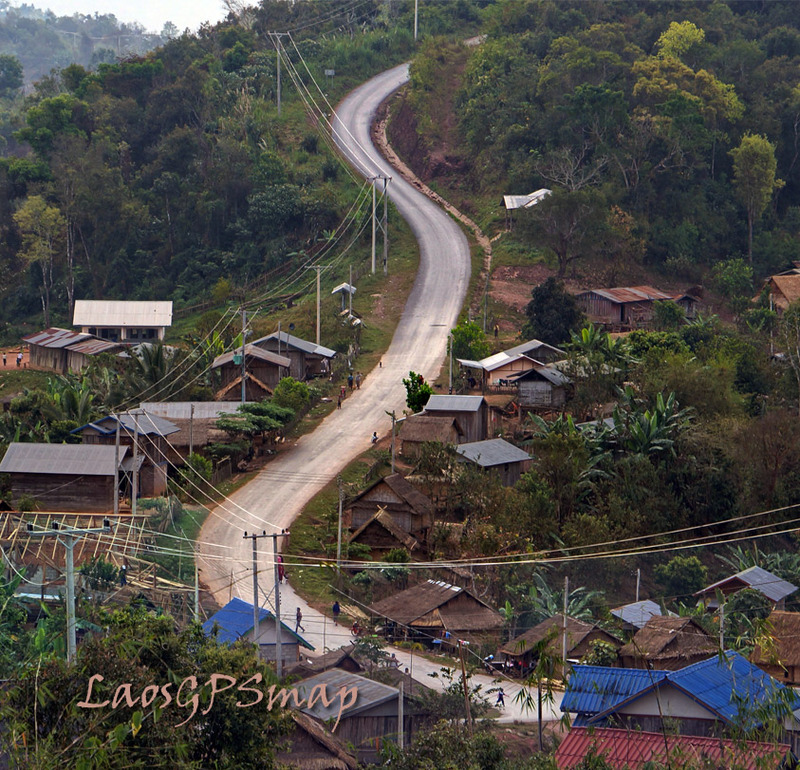 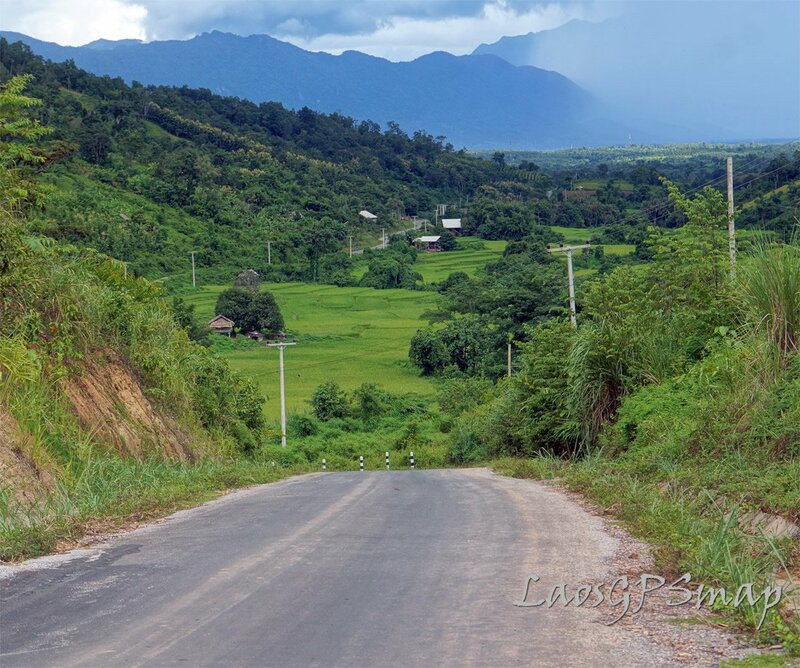 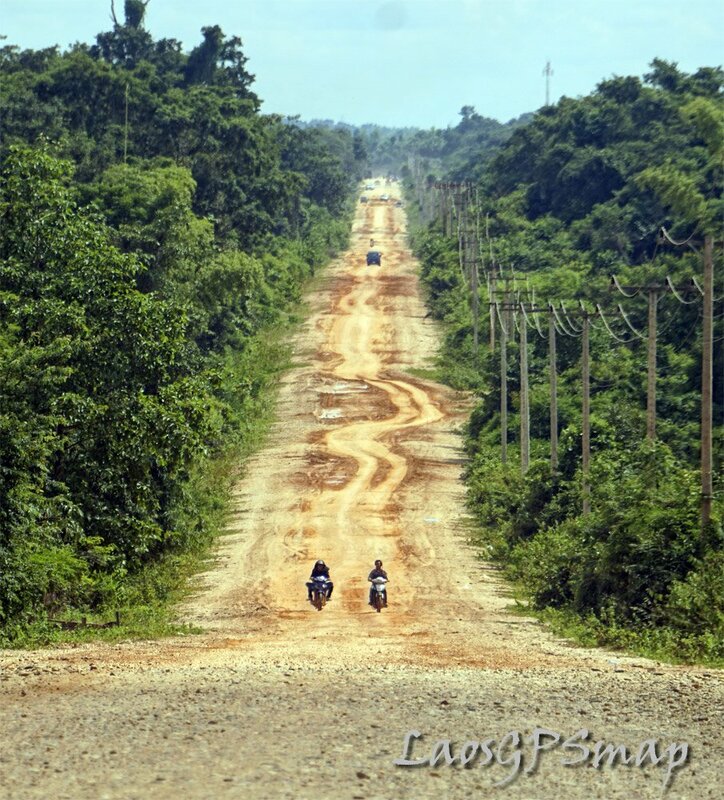 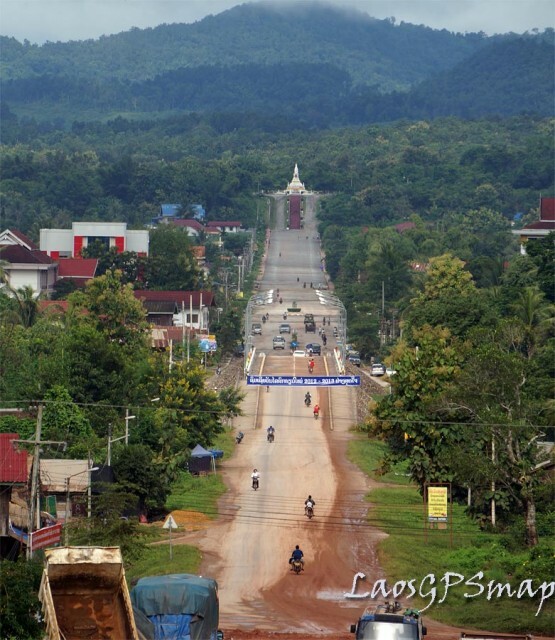 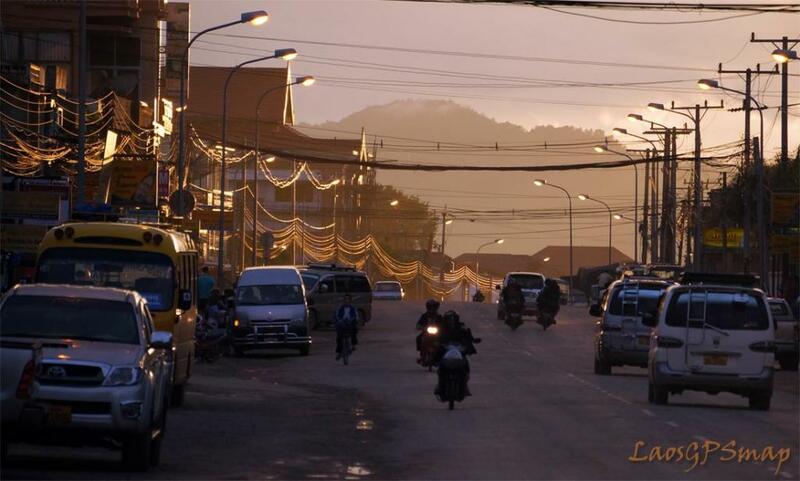 Long and strait, a good run to beat the rain Houa Pan Province Northern Laos, motorcycle road. 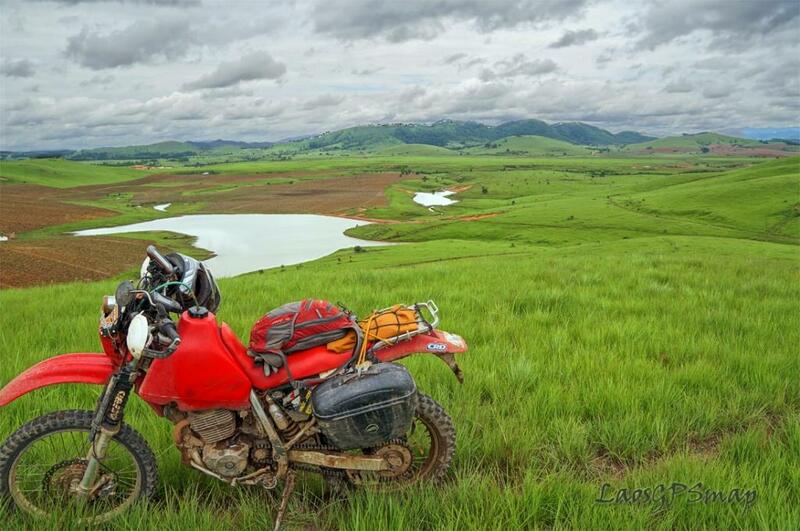 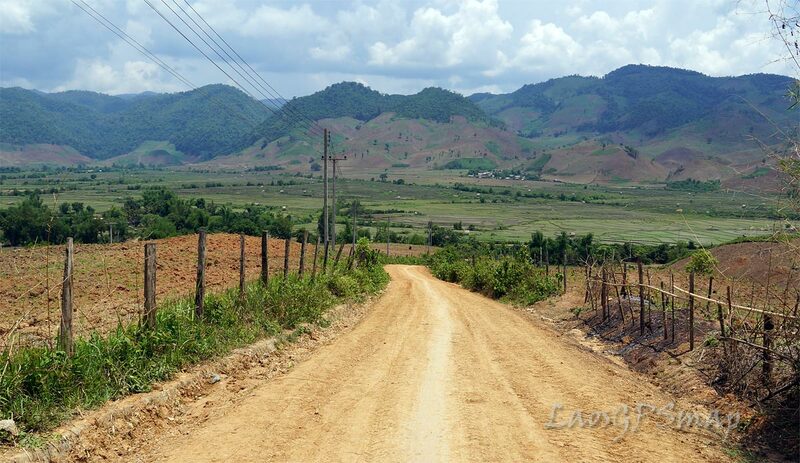 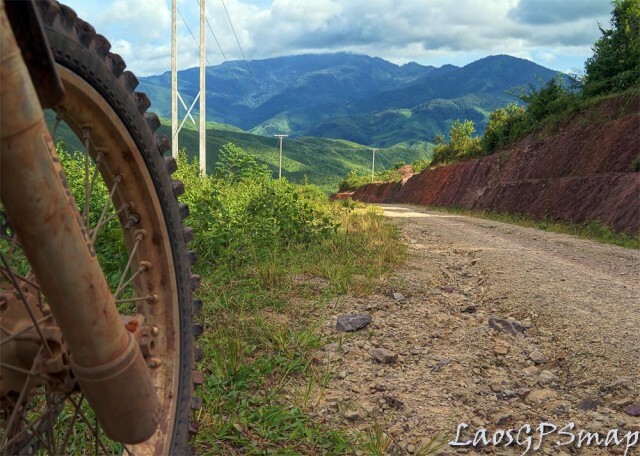 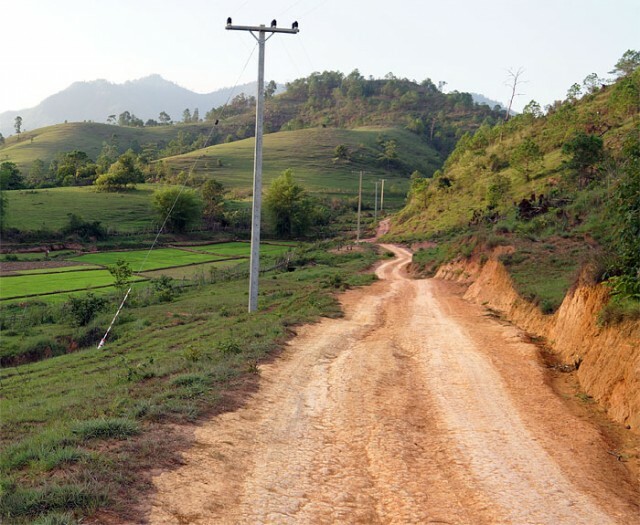 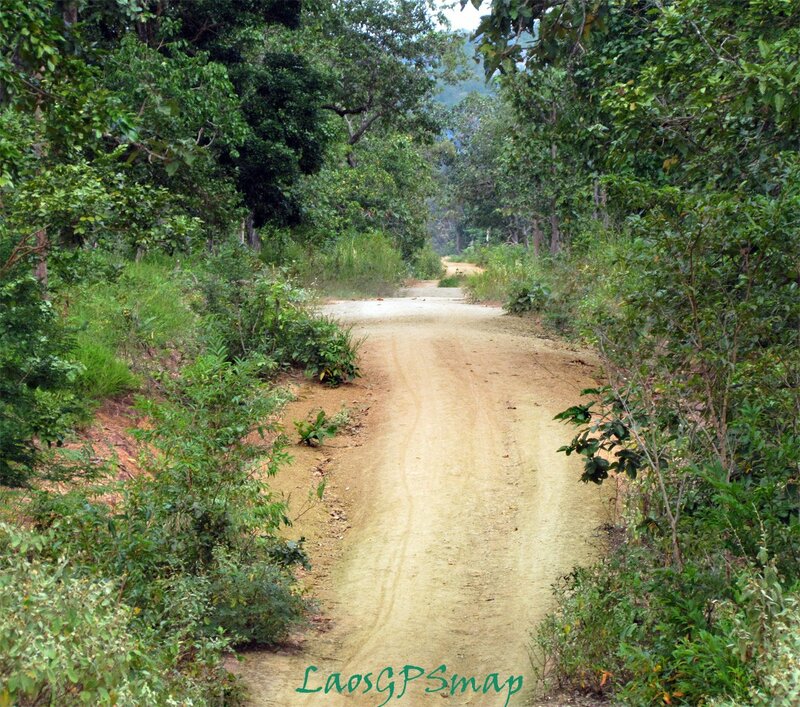 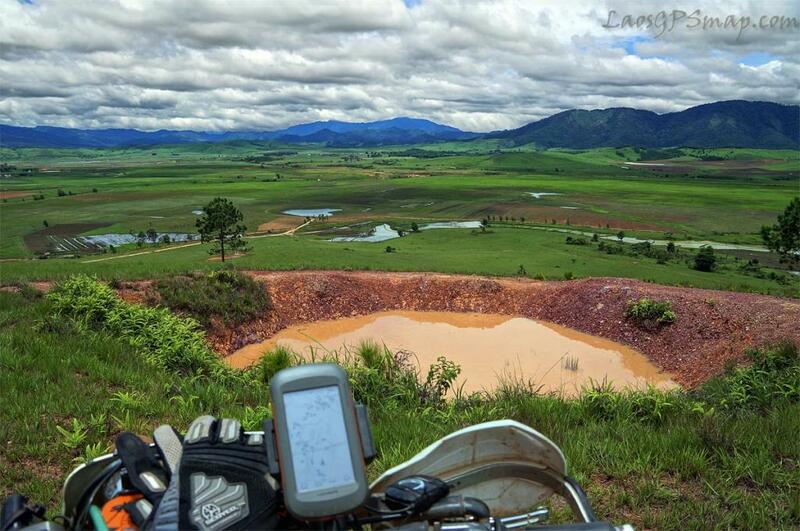 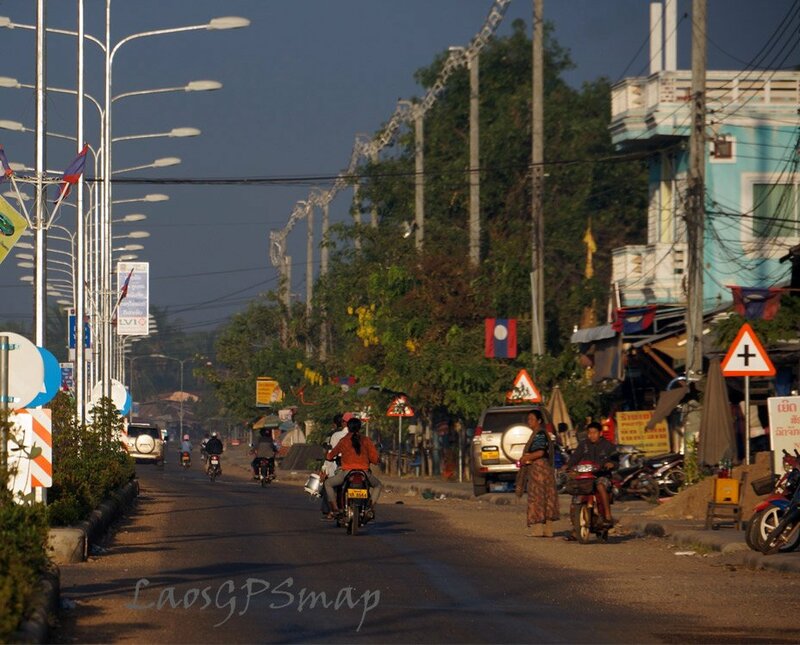 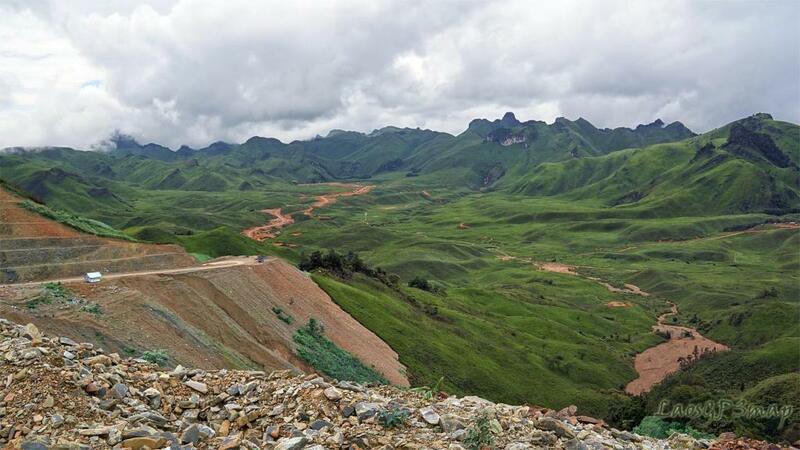 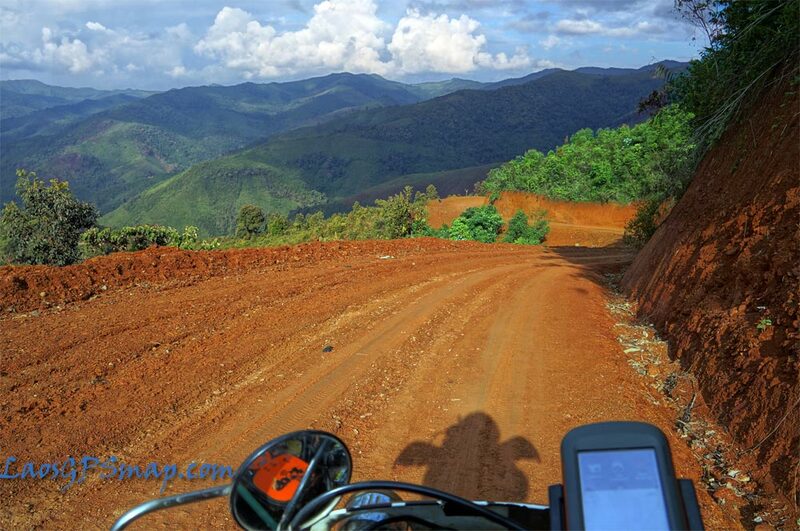 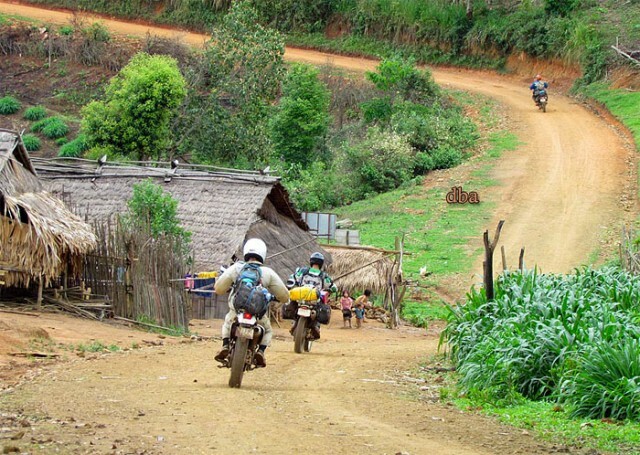 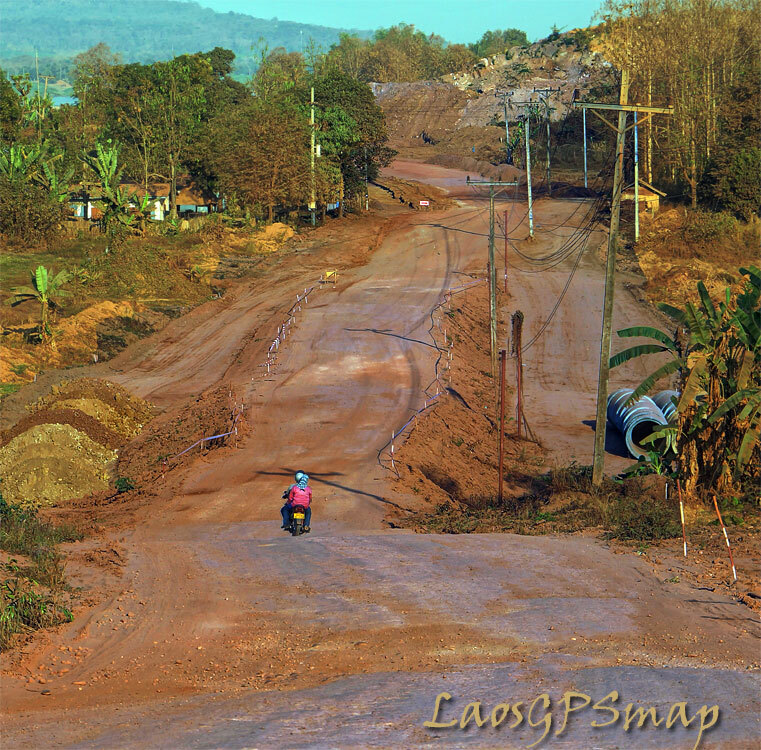 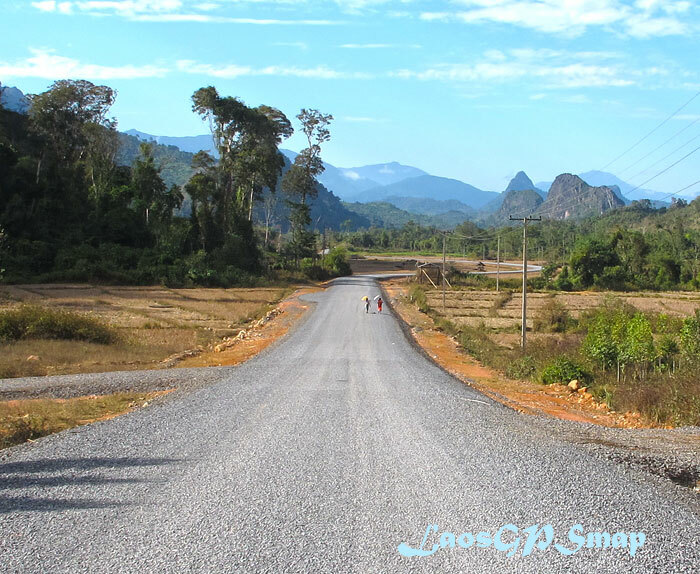 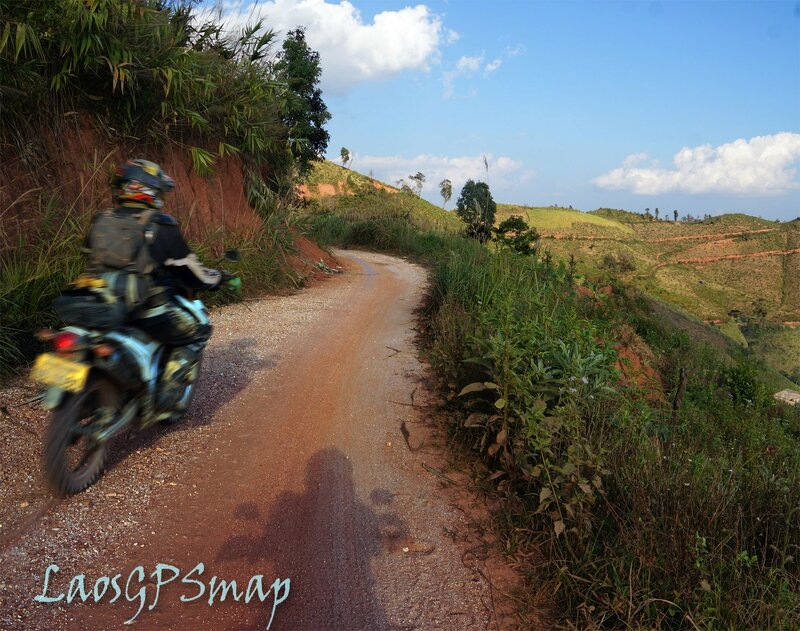 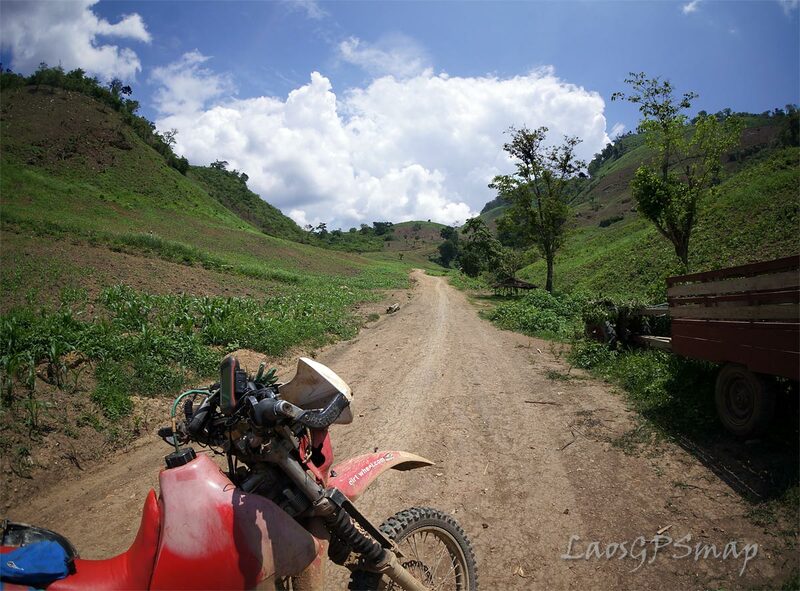 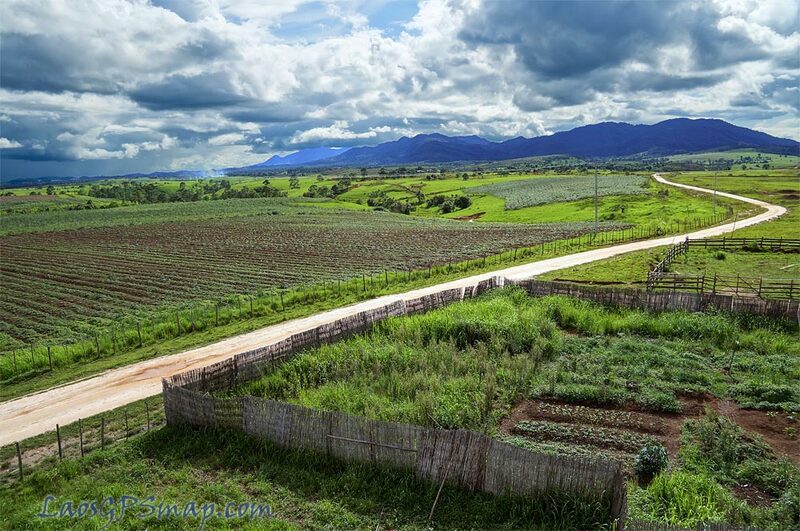 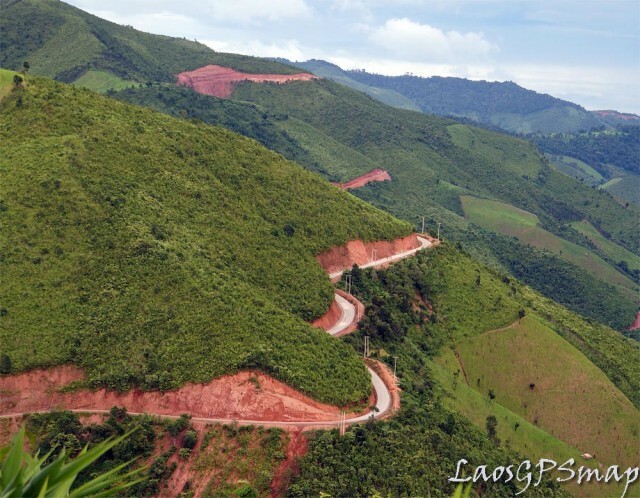 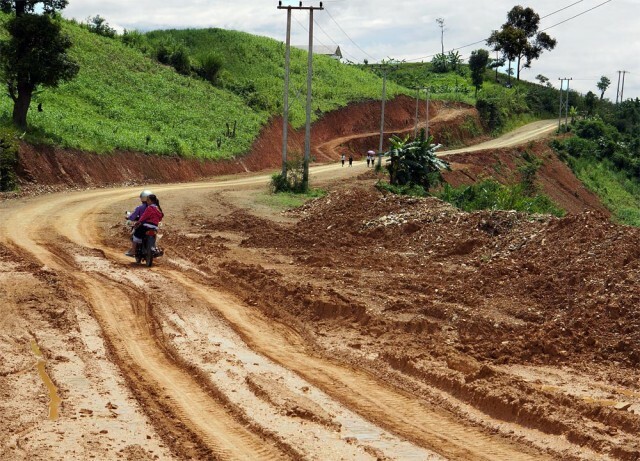 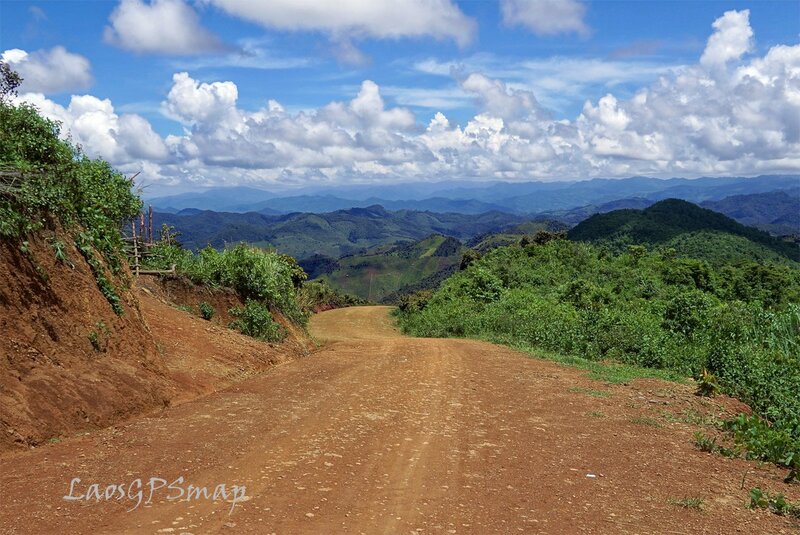 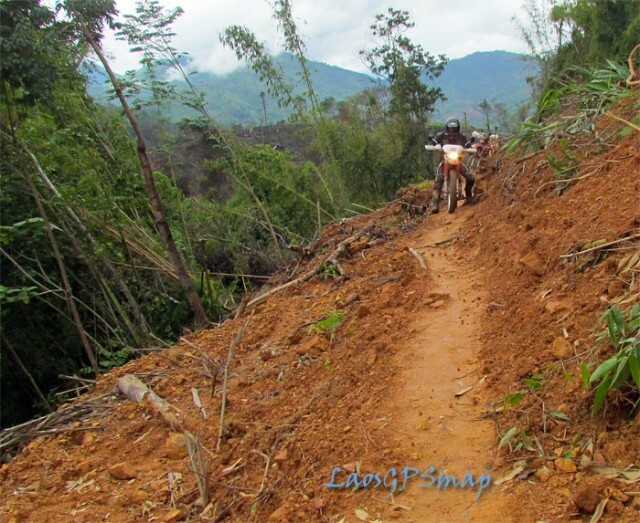 PDJ Northern Laos sometimes there just is no road, Motorcycle road.